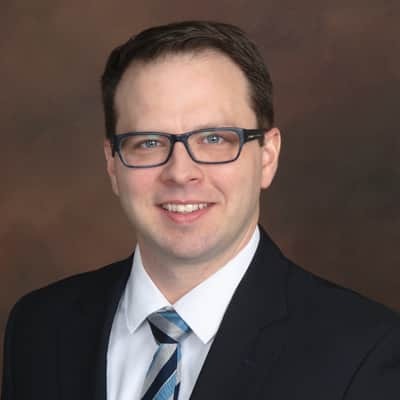 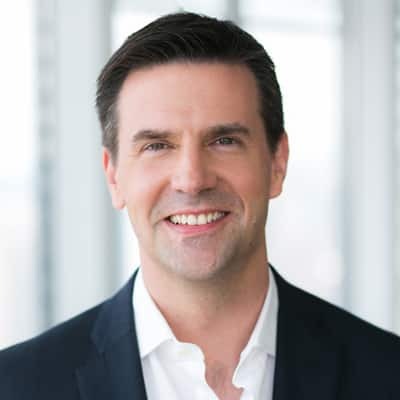 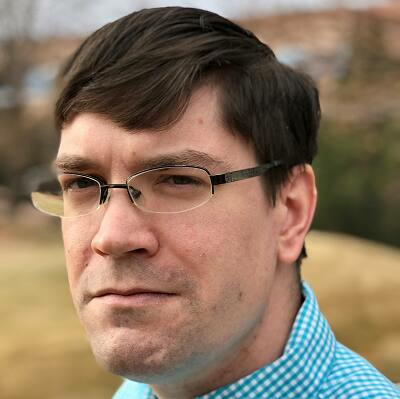 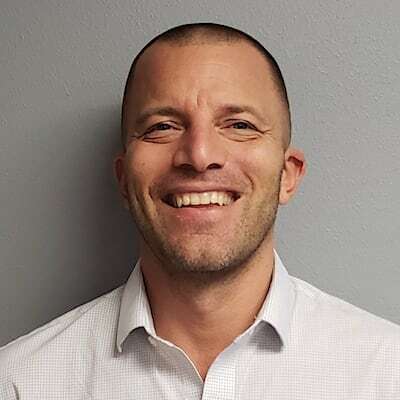 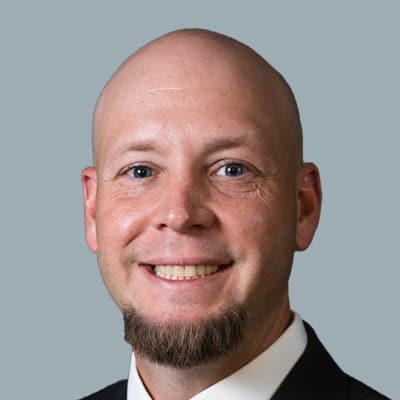 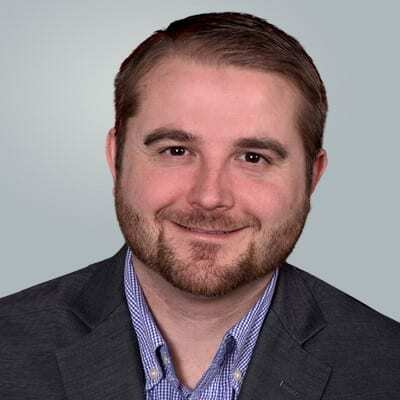 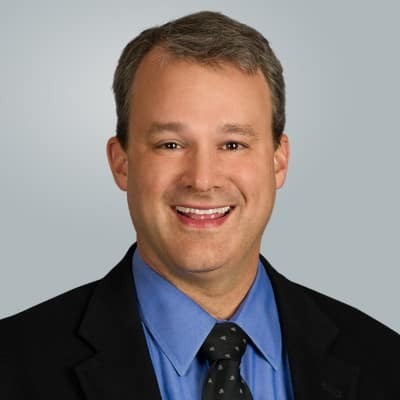 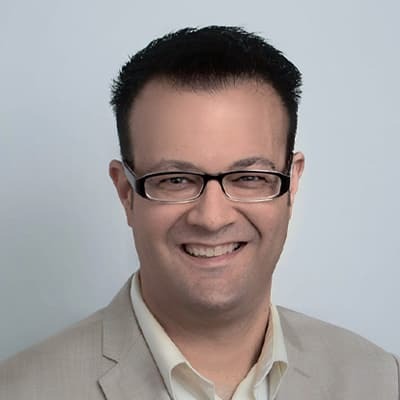 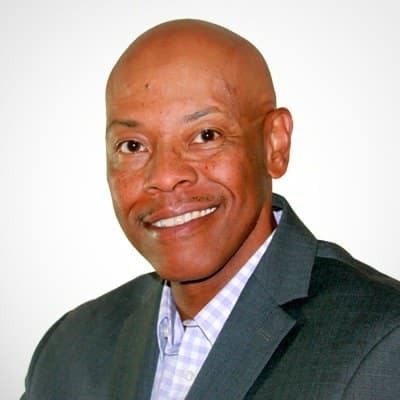 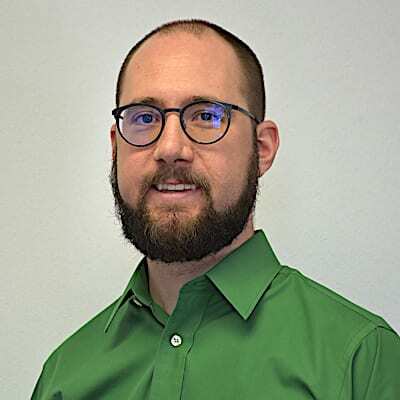 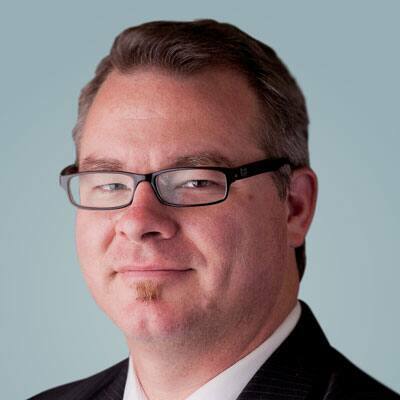 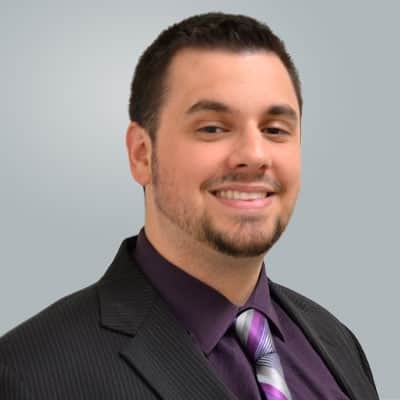 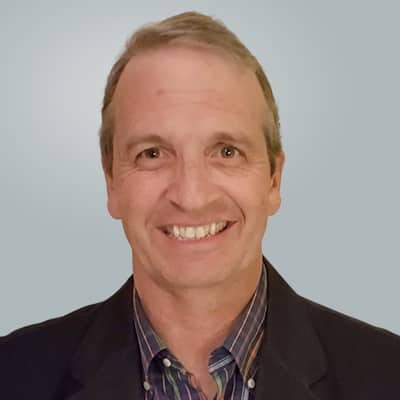 Devan Adams, MBA, is a senior analyst at IHS Markit on the Cloud and Data Center Research team, where he manages IHS Markit's cloud, data center switching, and fibre channel storage intelligence services. 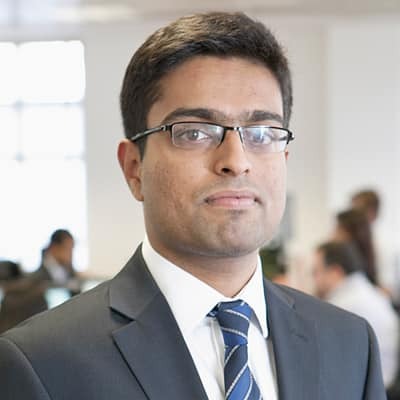 Sharjeel Ahmad is an analyst within the Healthcare Technology team at IHS Markit. 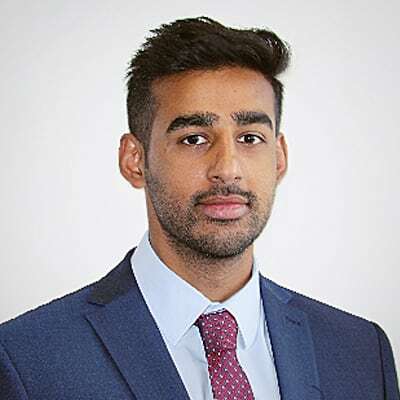 Noman Akhtar, a research analyst at IHS Markit, focuses on the industrial market dynamics of semiconductors and sensor. 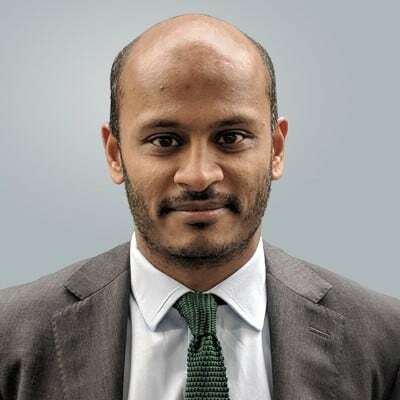 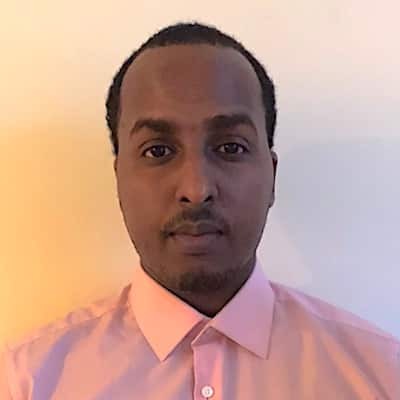 Bashir Ali, a technology research analyst at IHS Markit, is responsible for coverage of telecom operator strategies in Africa and the Middle East. 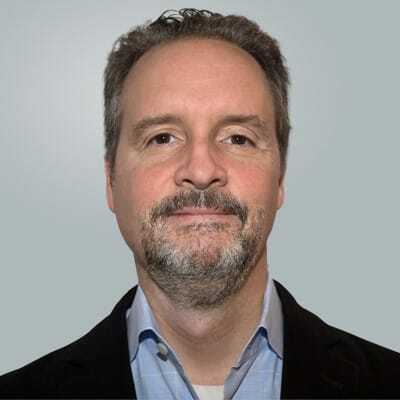 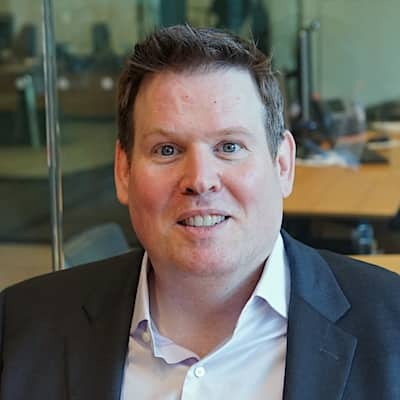 James Allison is a principal research analyst at IHS Markit, focusing on the TV sets, smartphone, and connected devices markets. 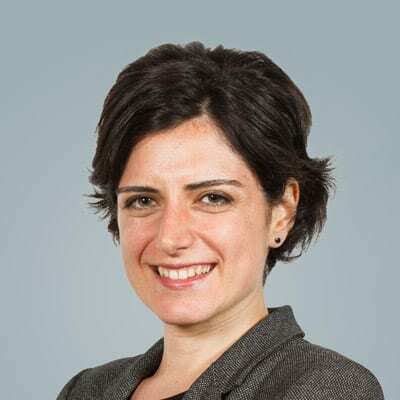 Dr. Meda Al Rowas is part of the global team overseeing IHS Markit’s Country Risk service and research output, and she previously headed the Middle East and North Africa Country Risk Desk. 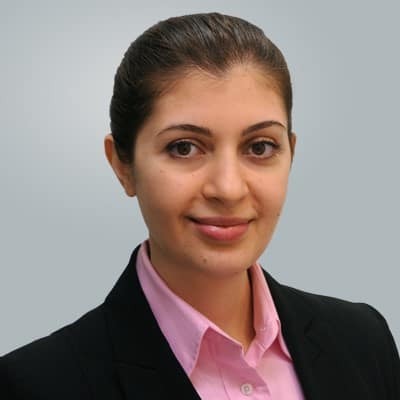 Mariam Al-Shamma is an associate director in the Upstream E&P Terms and Above-Ground Risk team at IHS Markit, specializing in analyzing, forecasting, and benchmarking aboveground risks affecting the upstream oil and gas sector in the Middle East. 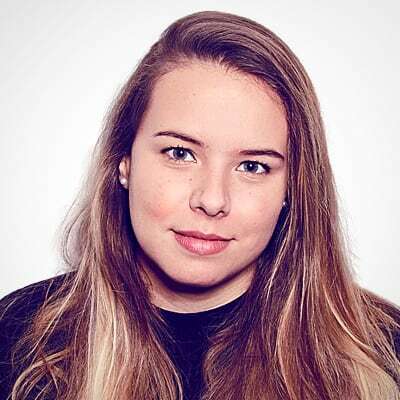 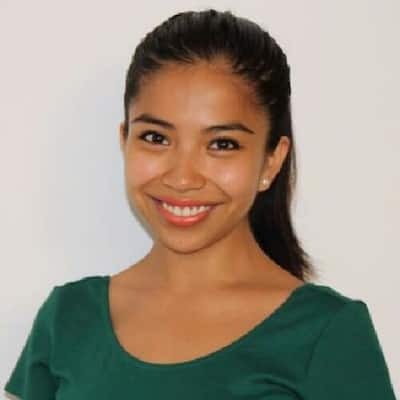 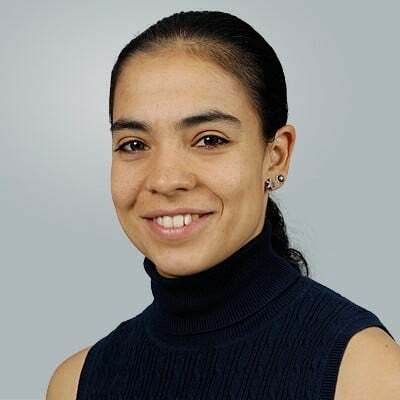 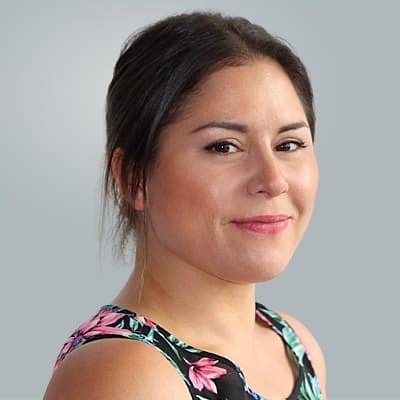 Liliana Alvarez Temix is senior analyst on the Smart Home and Appliances Technology team at IHS Markit, based in Shanghai, China. 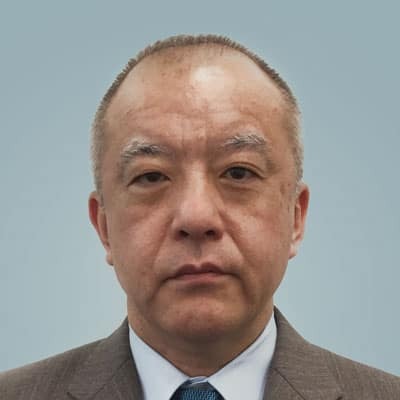 Mr. Charles Annis serves as director of FPD Manufacturing Technology Research at IHS Markit, based in Japan. 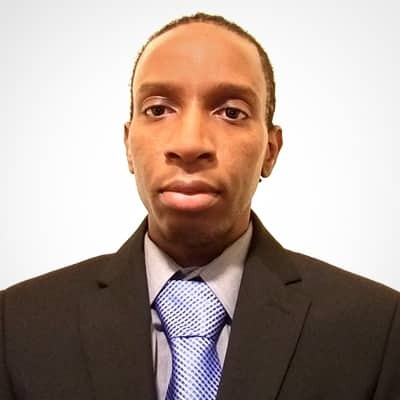 Mr. Krispen Atkinson is the principal analyst for the maritime research and analysis team at IHS Markit. 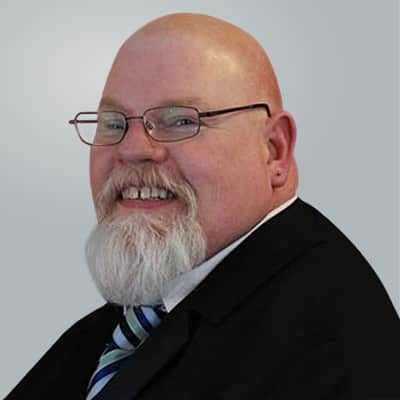 Mr. Chip Bailey is director of Drillings and Completions within the Energy Technical team at IHS Markit. 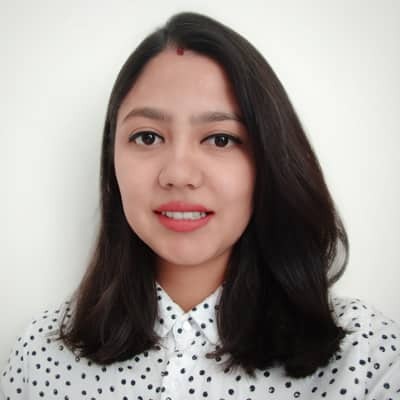 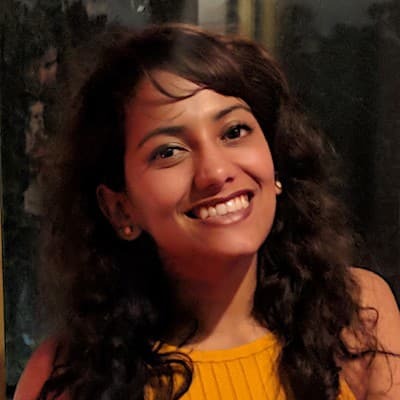 Puja Banerjee is a research analyst working on Data Science and Business Intelligence Applications for Country Risk at IHS Markit. 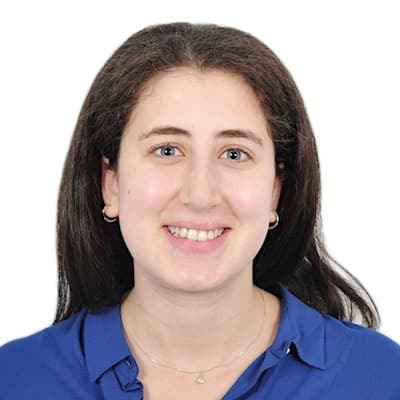 Tala Bassil is a research analyst within the Energy Technology team at IHS Markit. 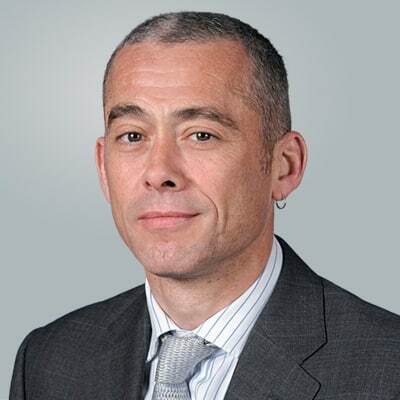 Adrian Beale leads the IHS Markit Energy & Natural Resources business for Financial & Capital Markets. 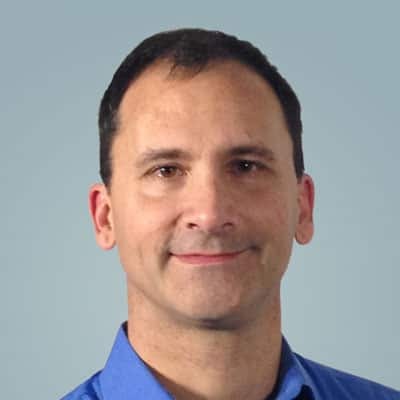 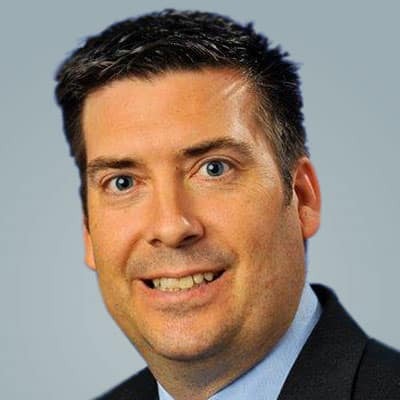 Ross Beiler is a director of technology product management at IHS Markit, focusing on parts products. 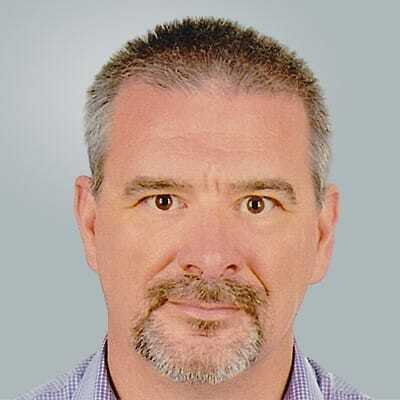 Mr. Jeremy Binnie has been the Middle East/Africa Editor for Defense Weekly since the beginning of 2012. 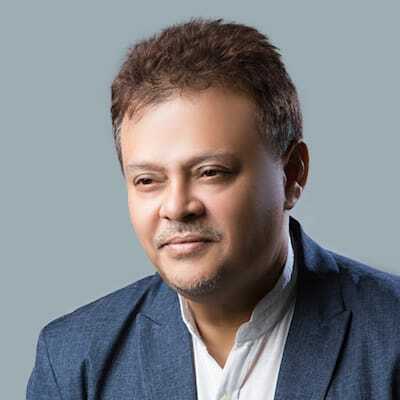 Mr. Rajiv Biswas is a senior director and the Asia-Pacific chief economist for the Economics & Country Risk group at IHS Markit. 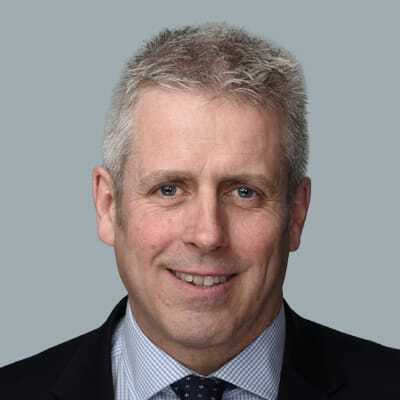 Robert Ineson, executive director, IHS Markit, is a recognized expert in the global LNG and North American natural gas industries. 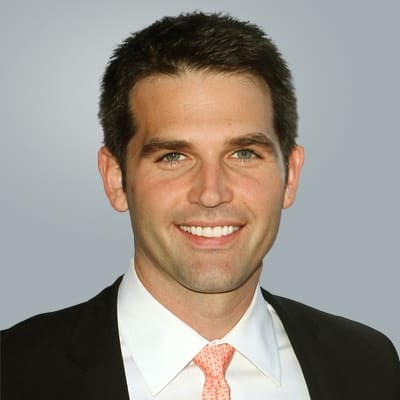 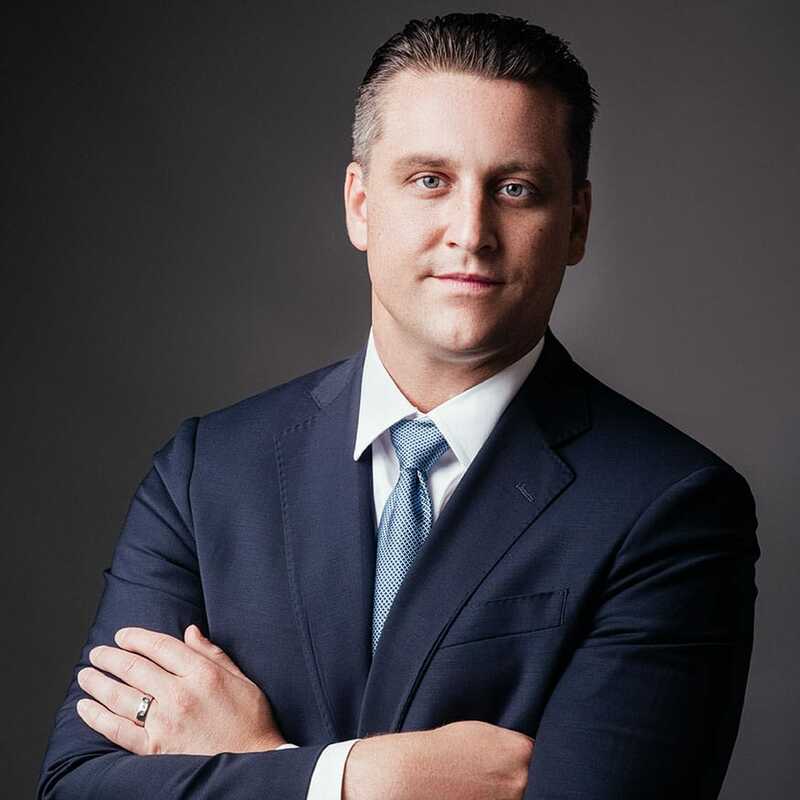 Mr. Aaron Brady serves as vice president of Energy Oil Market Services at IHS Markit. 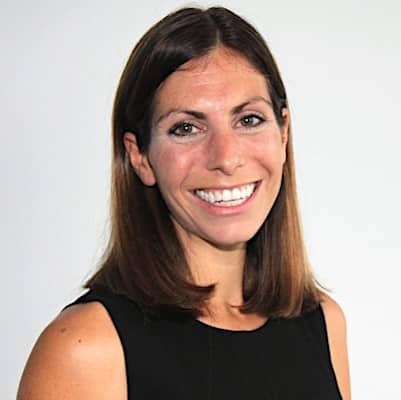 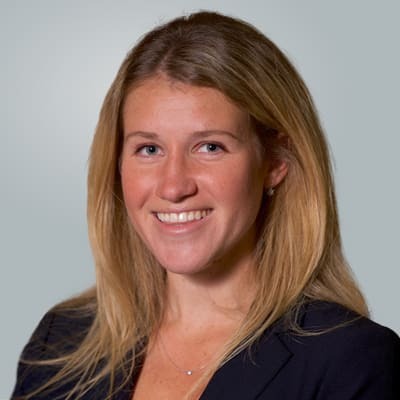 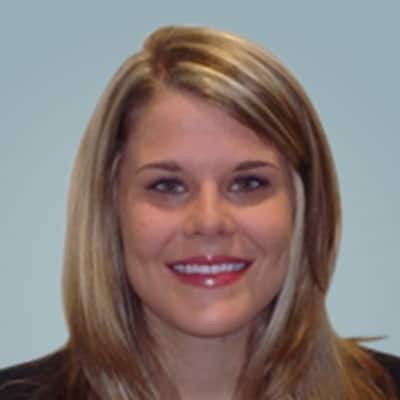 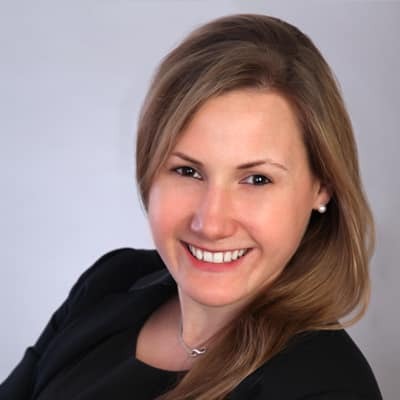 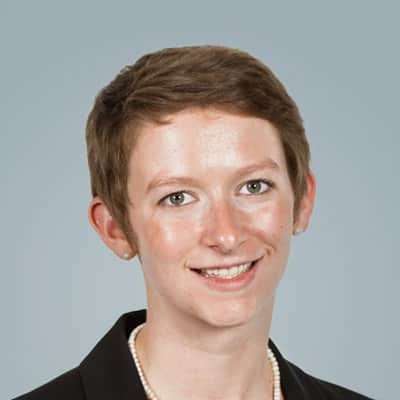 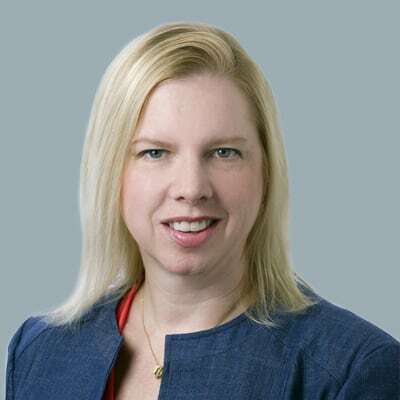 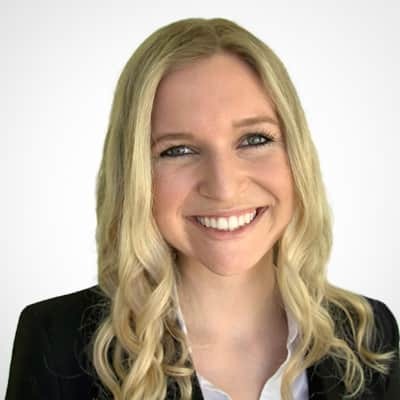 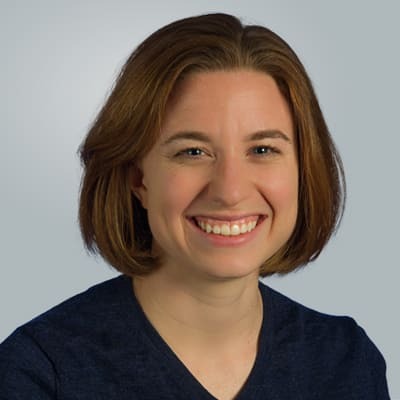 Brittany Garland is a director within Regulatory & Compliance Solutions at IHS Markit. 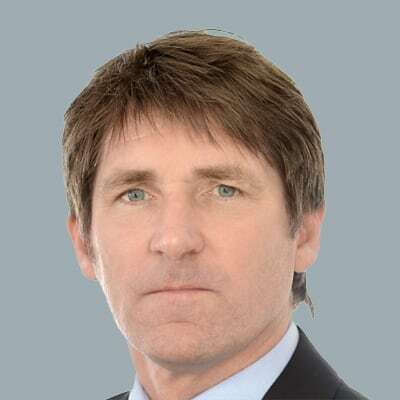 Mr. Chris Brooks is executive editor for Maritime & Trade at IHS Markit. 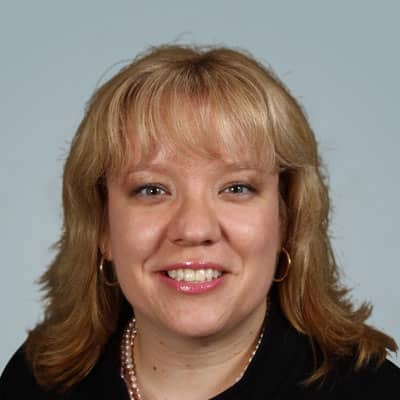 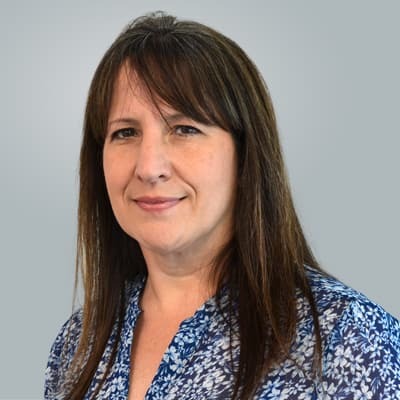 Dawn Brusseau is associate director of Commercial Vehicle Solutions at IHS Markit. 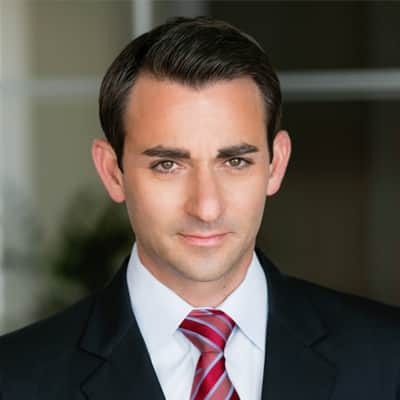 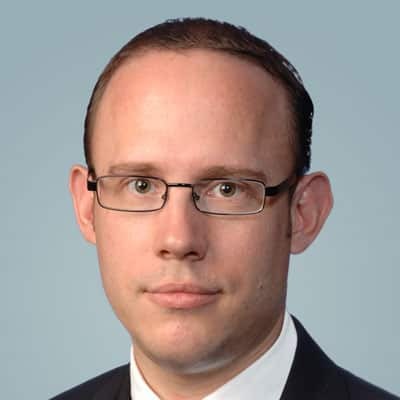 Josh Builta serves as a senior principal analyst within the IHS Markit Transformative Technologies team. 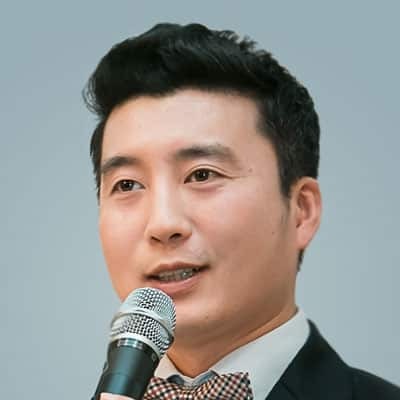 Mr. K.C. 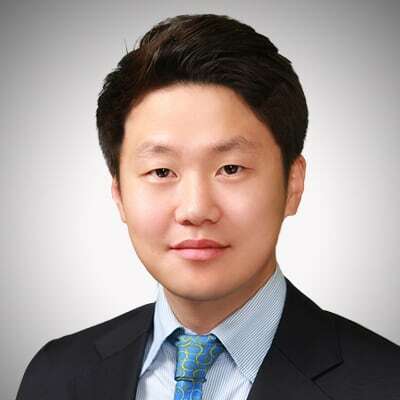 Chang is a senior economist in the Pricing and Purchasing Service at IHS Markit, focusing on base metals. 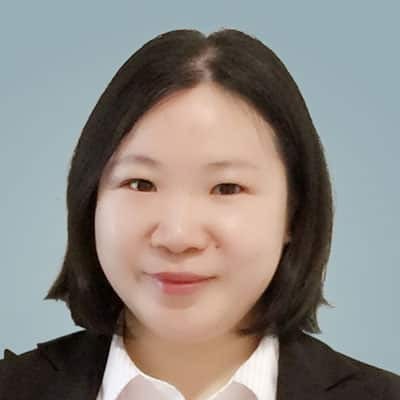 Louise Chan is an analyst within the Healthcare Technology team at IHS Markit, based in the UK Wellingborough office. 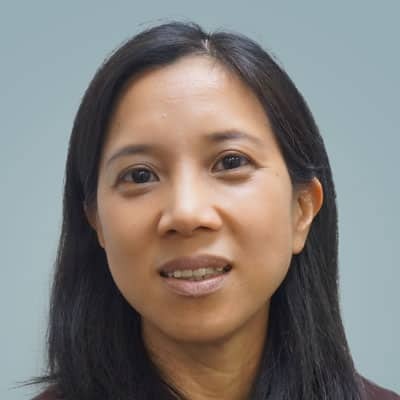 Marjorie Chee heads Know Your Client (KYC) Services at IHS Markit, based in London. 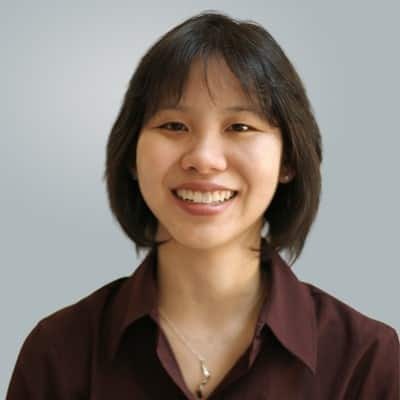 Vicki Chen, a senior research analyst at IHS Markit, focuses on display materials and components. 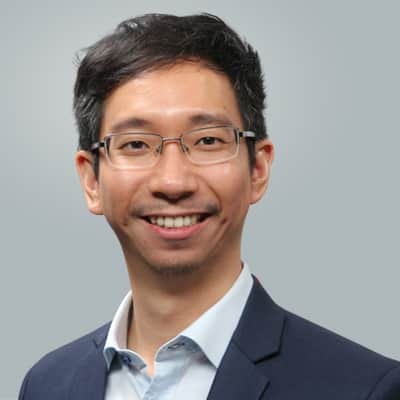 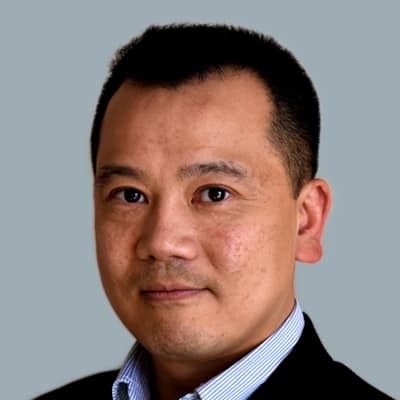 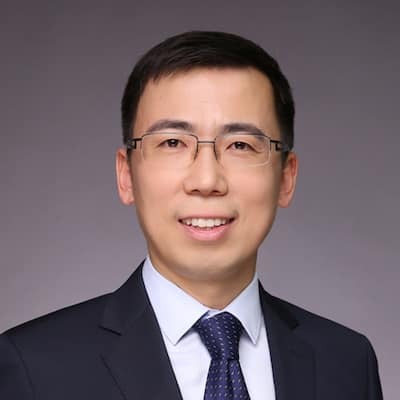 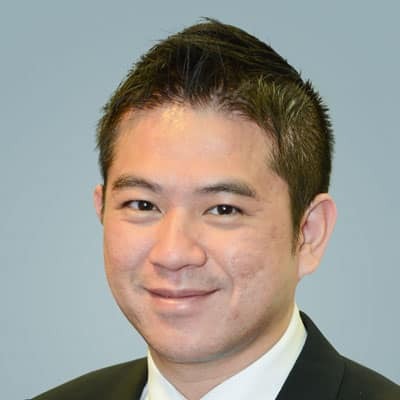 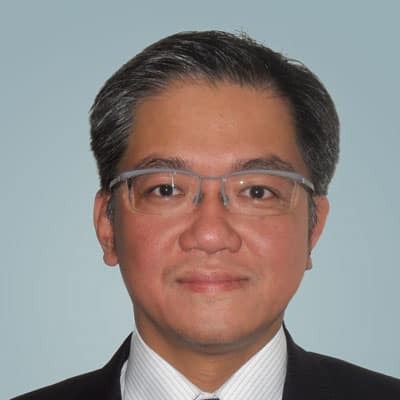 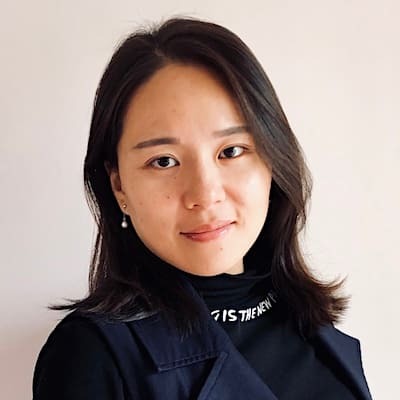 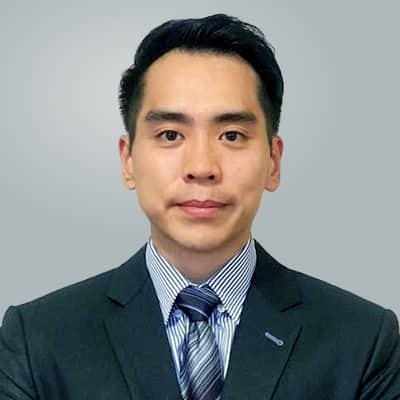 Ming Cheung is an associate director in Regulatory & Compliance Solutions at IHS Markit and serves as the product lead for Counterparty Manager in the APAC region. 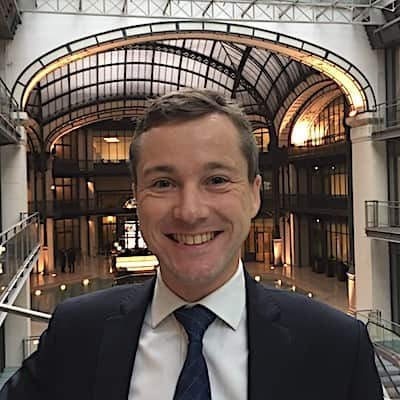 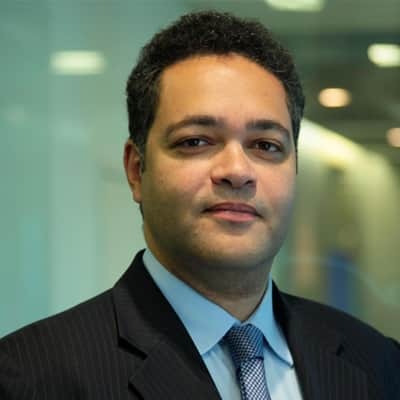 Sylvain Cognet-Dauphin is a director on the European Power, Gas, Coal, and Renewables team at IHS Markit. 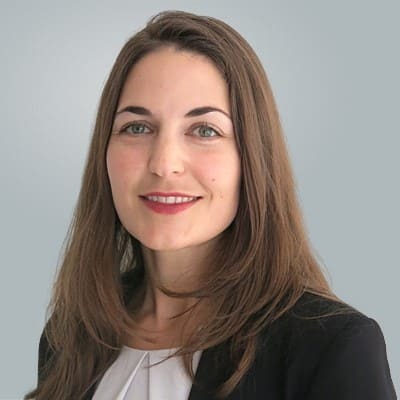 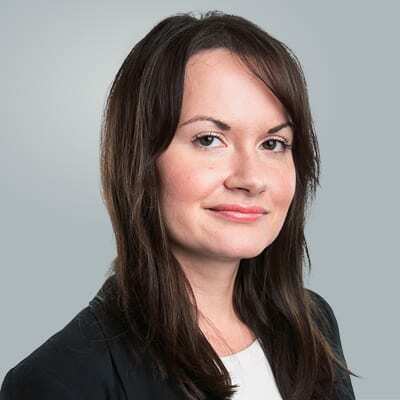 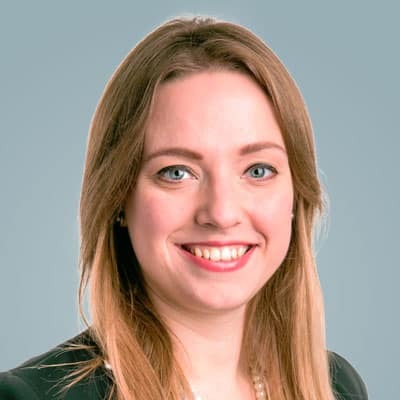 Laura Corboeuf supports the coverage of telecom operator strategies in Central and Eastern Europe (CEE) and the Commonwealth of Independent States (CIS) for IHS Markit. 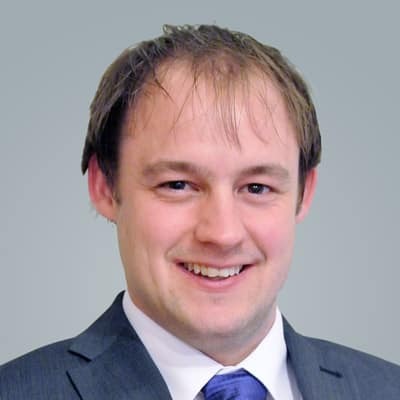 Christopher Craddock is a product specialist on the Operational Risk & Regulatory Compliance team at IHS Markit. 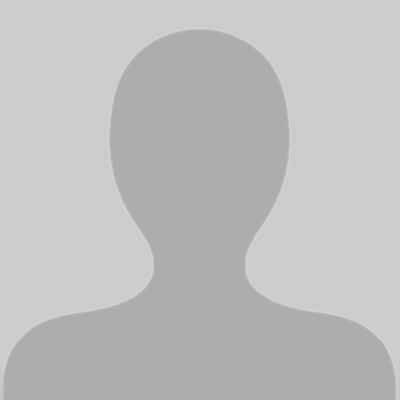 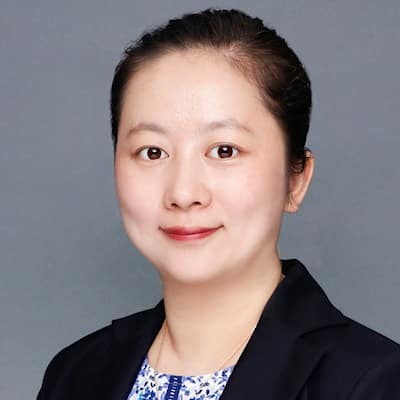 Ada Dai is a is a research analyst within the IHS Markit security research team, based in the Shanghai, China office. 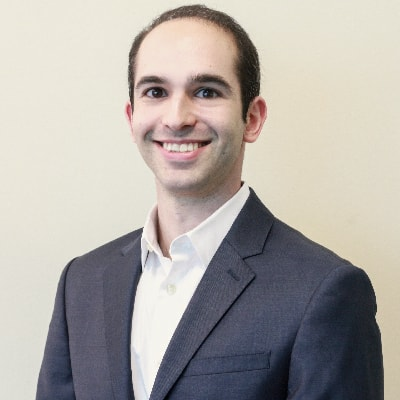 Adam Davidson is a research analyst within the Healthcare Technology team at IHS Markit. 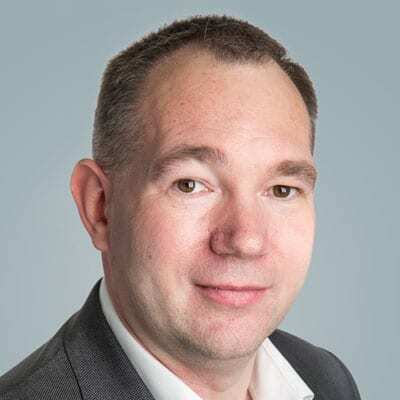 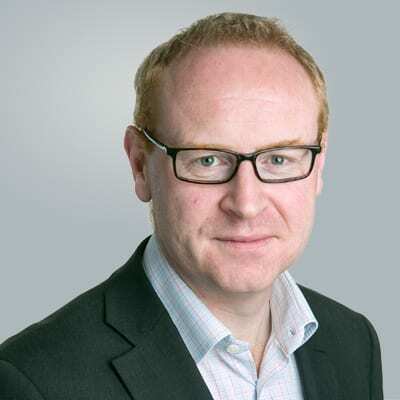 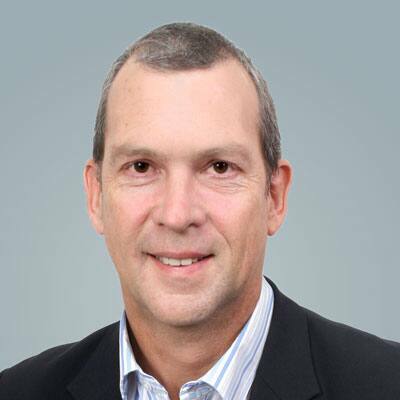 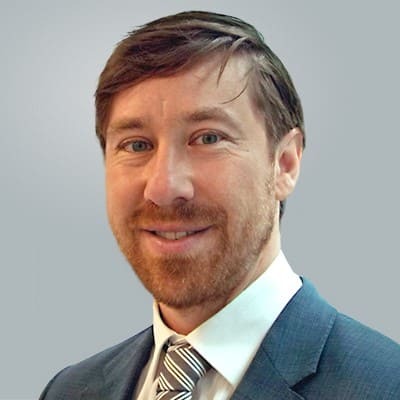 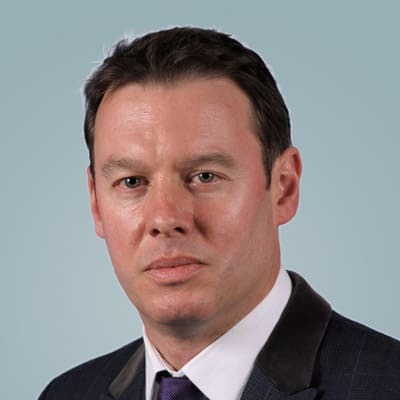 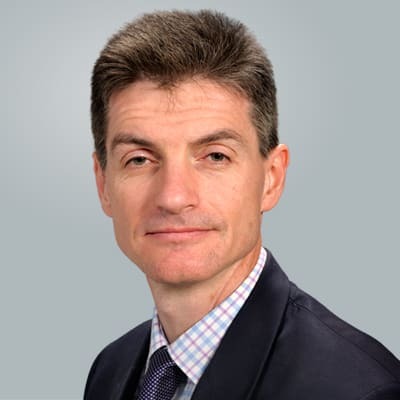 Andrew Day, director of Upstream Consulting at IHS Markit in Dubai, oversees field development, cost engineering and supply side market intelligence consulting. 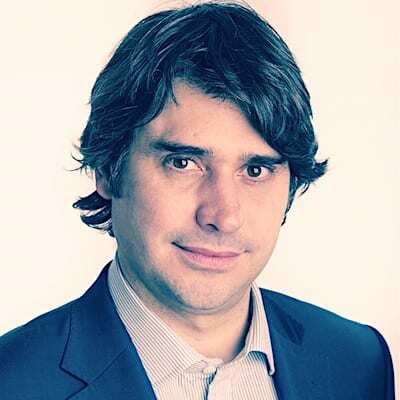 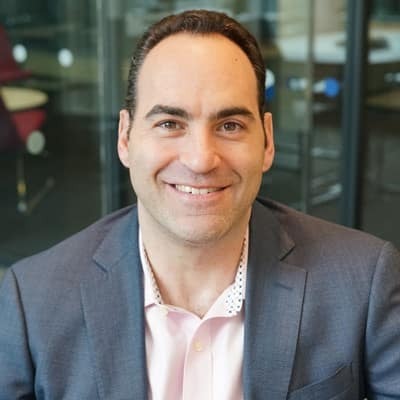 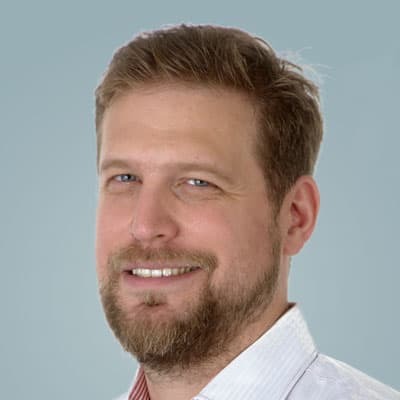 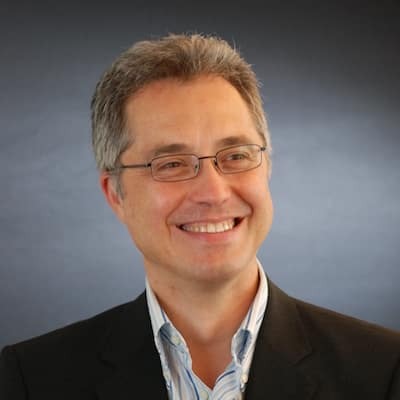 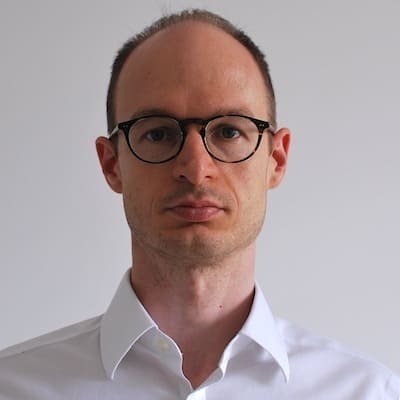 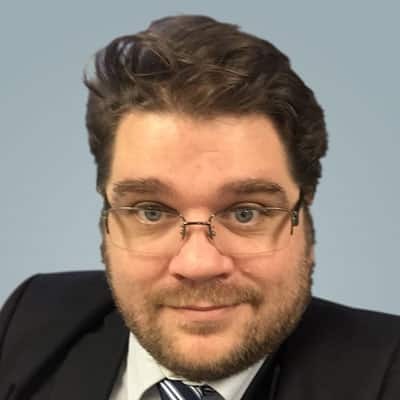 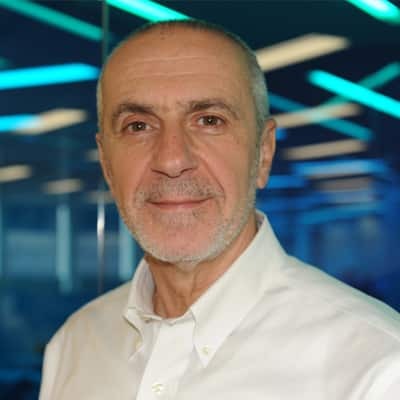 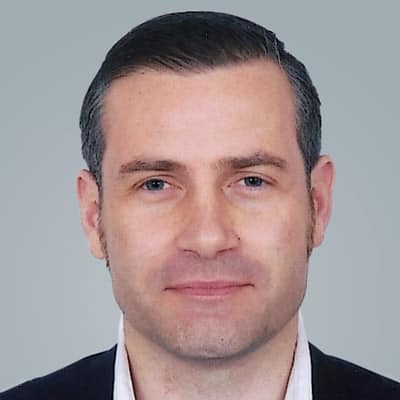 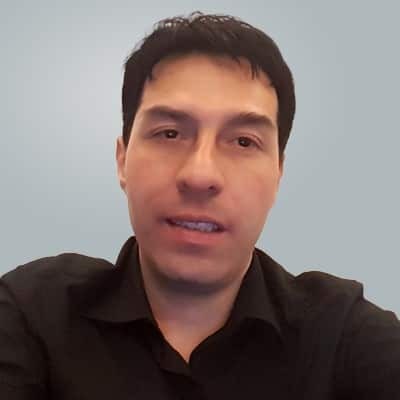 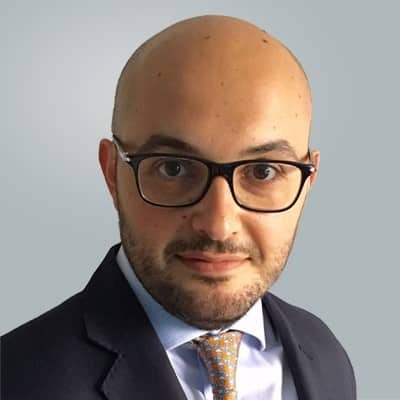 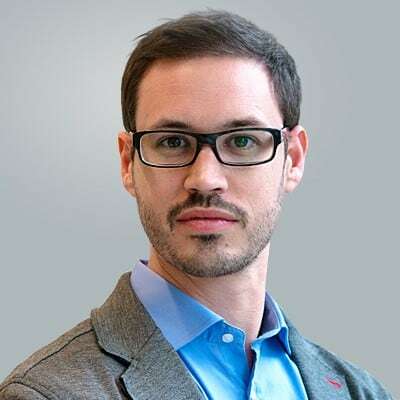 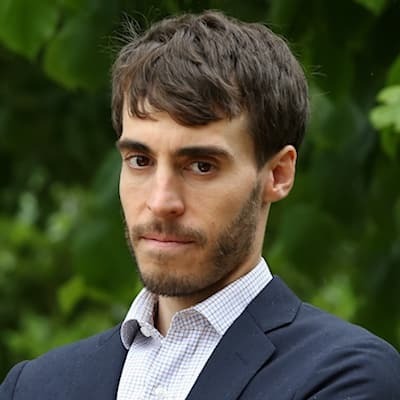 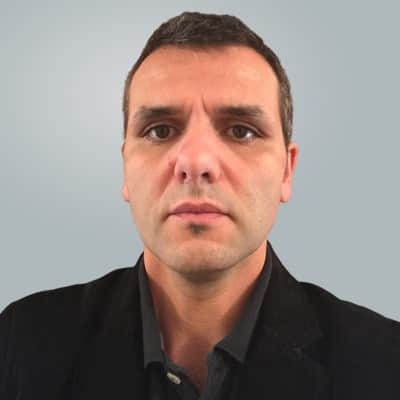 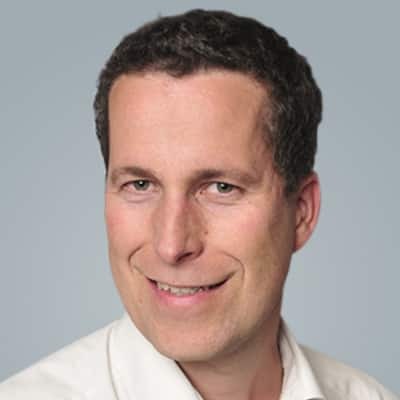 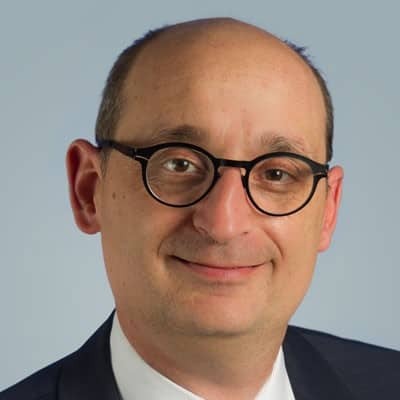 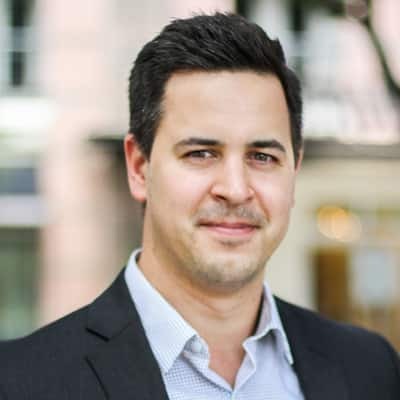 Luca De Ambroggi is the global research and analysis lead for AI Solutions within the Transformative Technology team at IHS Markit. 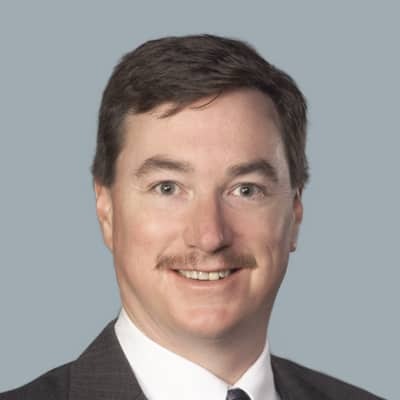 Mr. Scott Dendy leads Coal Index and business development operations in Asia for IHS Markit, based in Singapore. 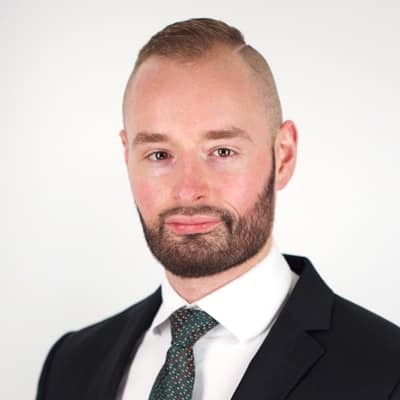 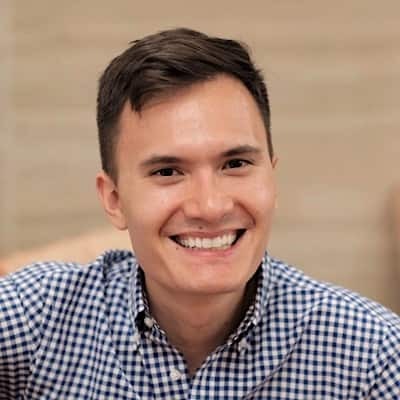 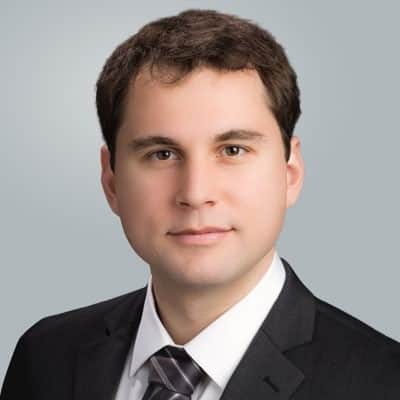 Mr. Alexander Denev heads the Quantitative Research team at IHS Markit engaged in new product development based on machine learning and artificial intelligence. 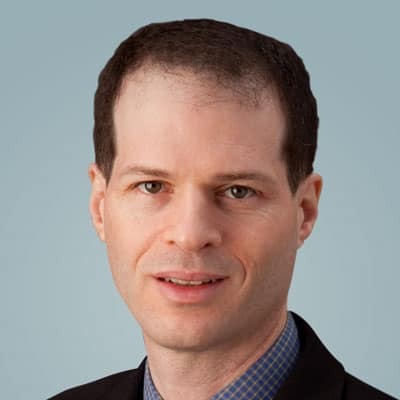 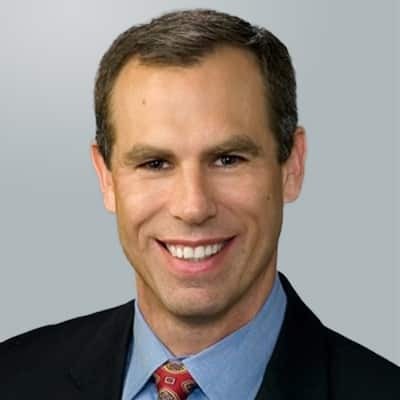 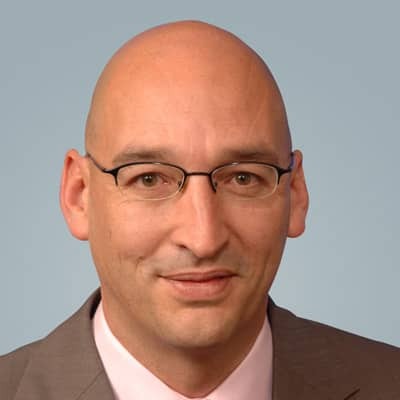 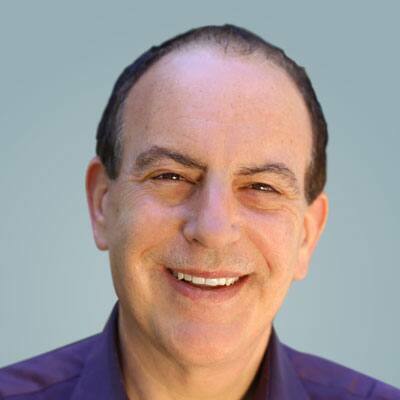 Andrew Eisen is the global head of enterprise data management (EDM) and thinkFolio at IHS Markit. 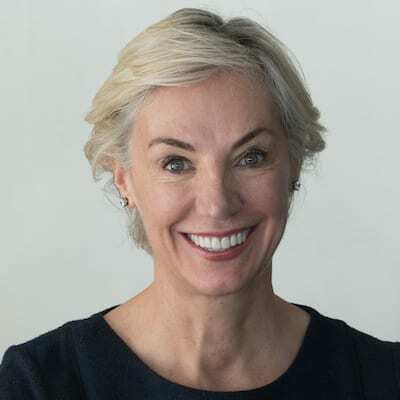 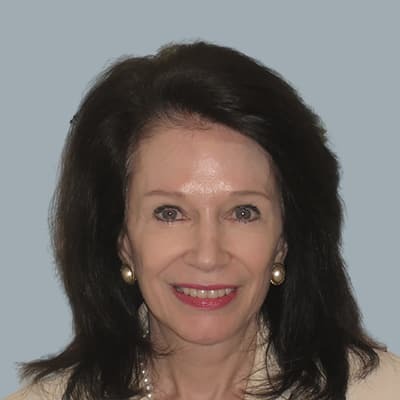 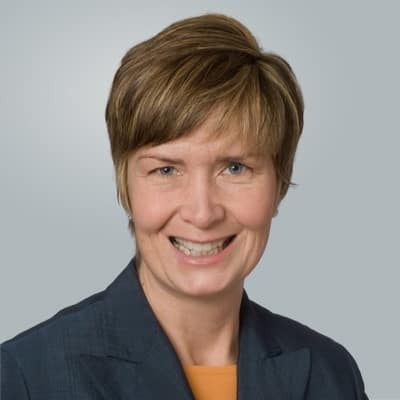 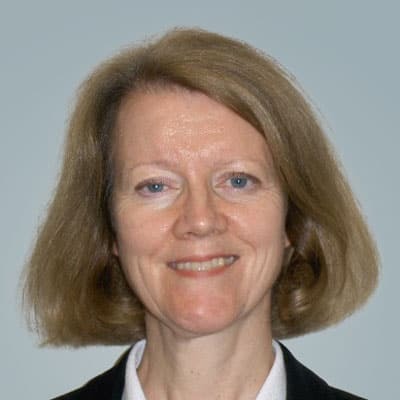 Ms. Susan Farrell, Vice President of IHS Markit, is a strategy and planning specialist, who leads Energy-Wide Perspectives. 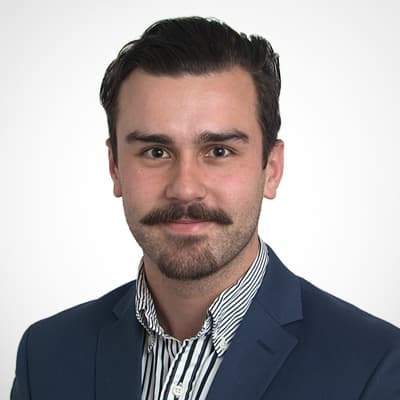 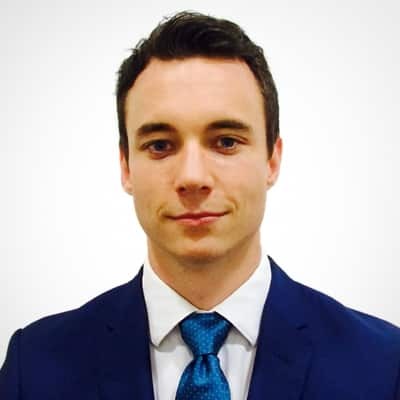 Hugo Foster, an intelligence analyst at IHS Markit, is focused on the mapping and modelling of security and political risks globally. 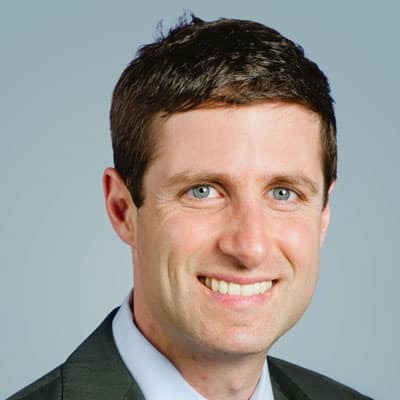 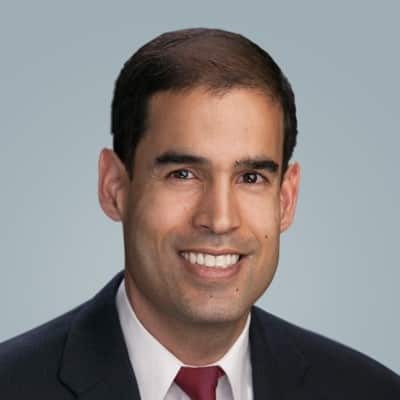 Steven Frable is a senior economist for the US Regional Economic Service at IHS Markit. 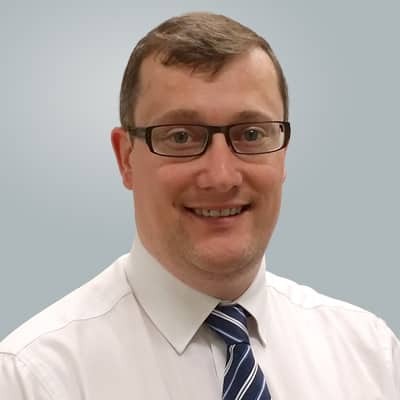 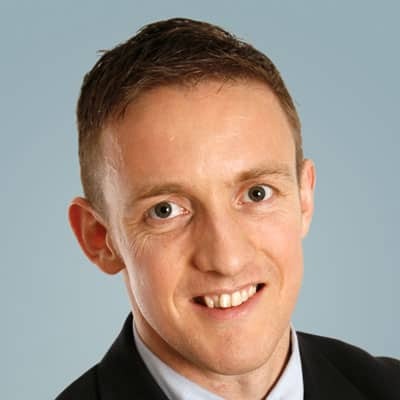 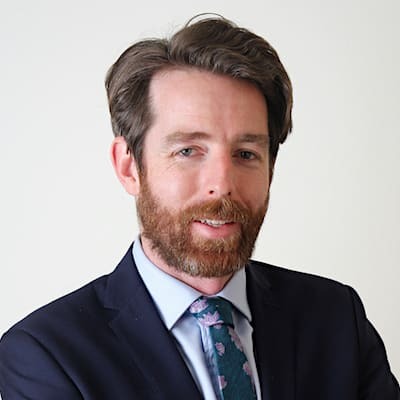 Mr. Kieran Gallagher is executive director and head of product management for Enterprise Data Management (EDM) Warehouse at IHS Markit. 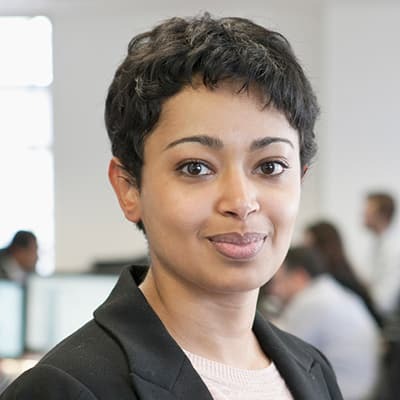 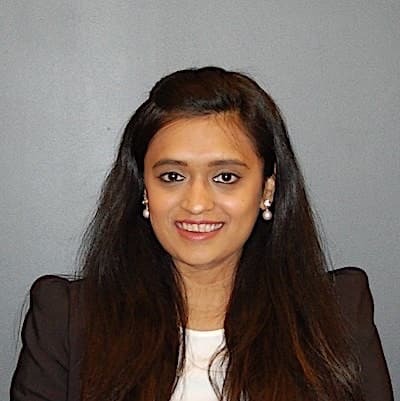 Rashi Garg is the global product manager for the bonds and equities fair value product in fixed income pricing services at IHS Markit. 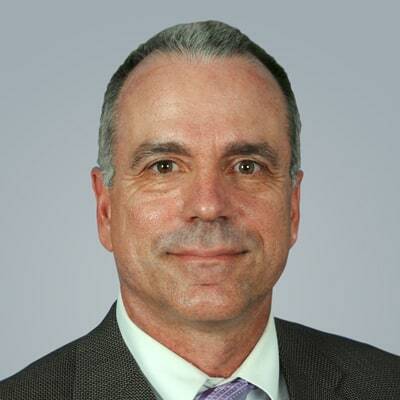 Mr. Christopher Geisler serves as vice president of Chemical Consulting Americas at IHS Markit. 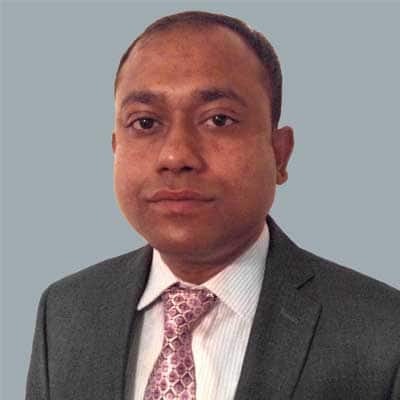 Indrajit Ghosh, a principal analyst for India and a director of technology business development for India and South Asia at IHS Markit, focuses on the LED TV supply chain. 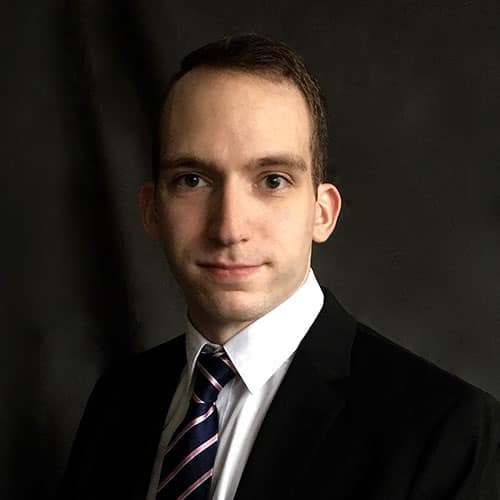 Nicolas Godec is a product manager for financial services at IHS Markit, focusing on tradable indices within the credit markets. 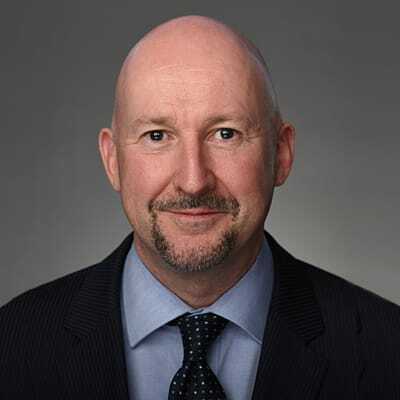 Mark Griffith is a senior research director at IHS Markit, focused on the impact that industry trends, including climate change policy and competition among fuels and energy technologies, have on the operational and strategic decisions of market participants. 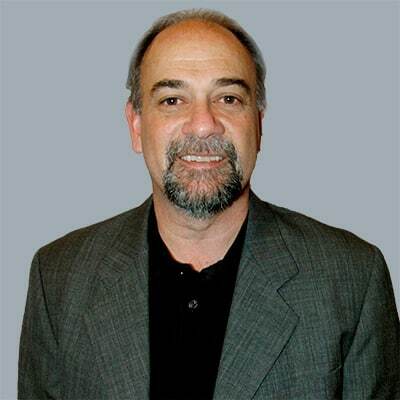 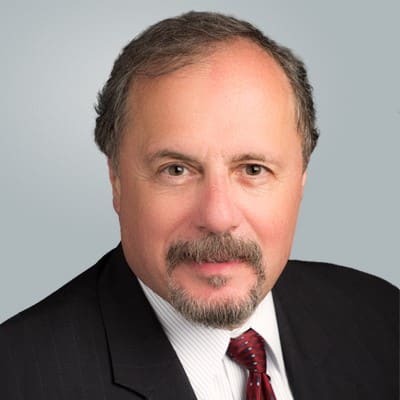 Dr. Cliff Grossner heads the Cloud and Data Center Research Practice at IHS Markit. 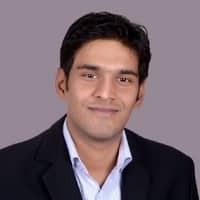 Paritosh Gupta, an analyst at IHS Markit, heads the medium and heavy commercial vehicles forecasts for the Indian Subcontinent and six other countries in Asia Pacific. 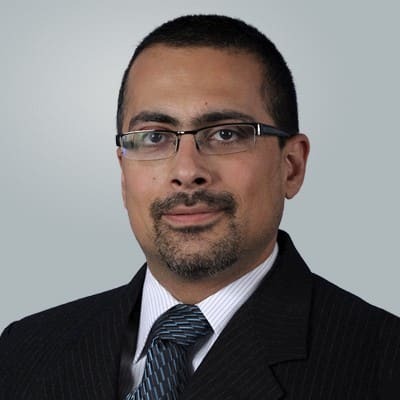 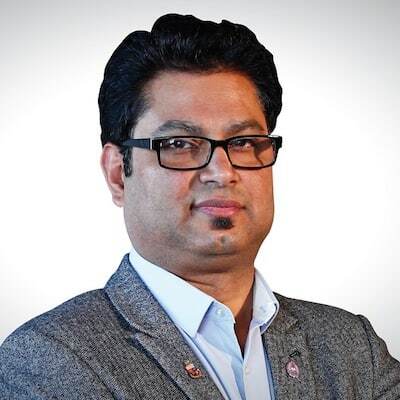 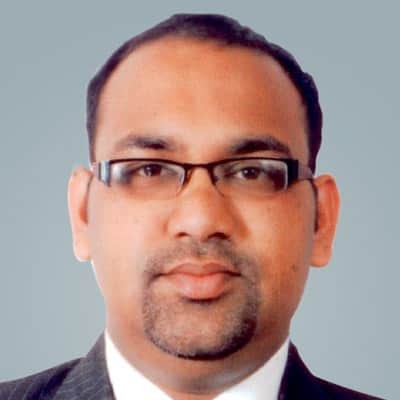 Mr. Puneet Gupta serves as associate director, Automotive Forecasting at IHS Markit. 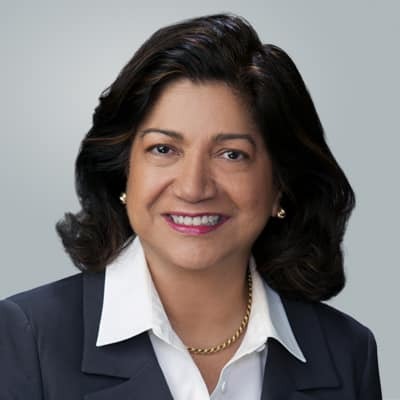 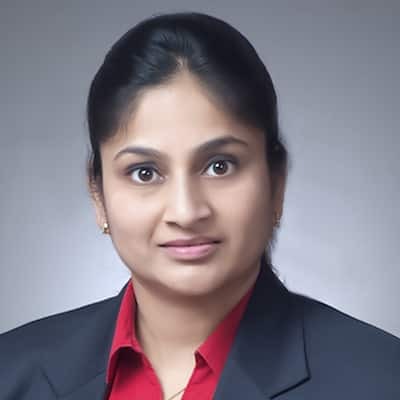 Dr. Rashika Gupta is a director on the Power, Gas, Coal, and Renewables (PGCR) team at IHS Markit, responsible for research and analysis for the India, Sri Lanka, Pakistan, and Bangladesh markets. 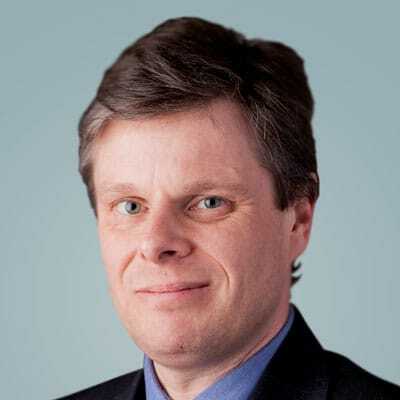 Mr. Chris Hammond, CFA, executive director at IHS Markit, heads the Research Signals product that provides quantitative factors, models and solutions to institutional clients worldwide. 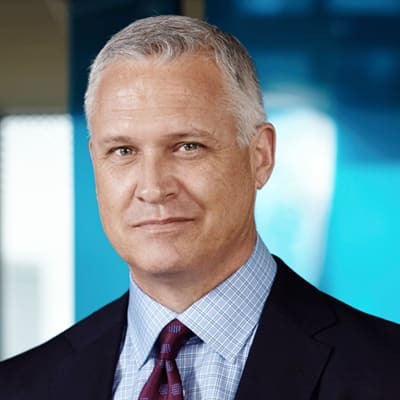 Mr. Mike Hartnett is a director of Country Risk Consulting at IHS Markit responsible for developing intelligence solutions. 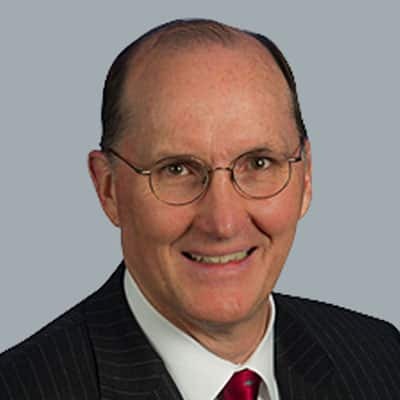 Walt Hart, Ph.D. is vice president of Natural Gas Liquids Research at IHS Markit. 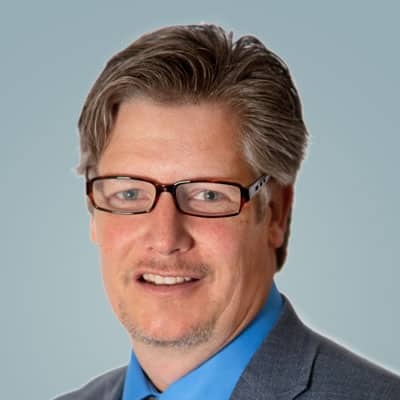 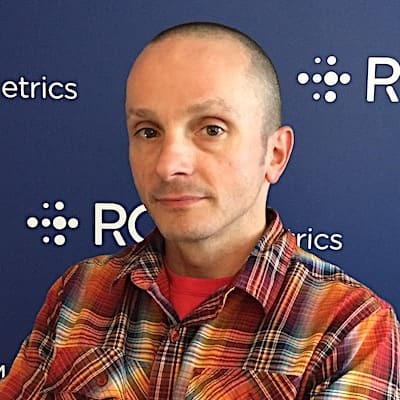 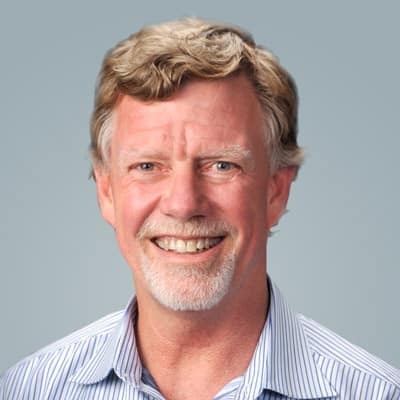 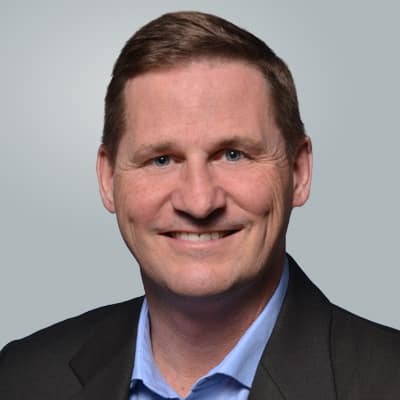 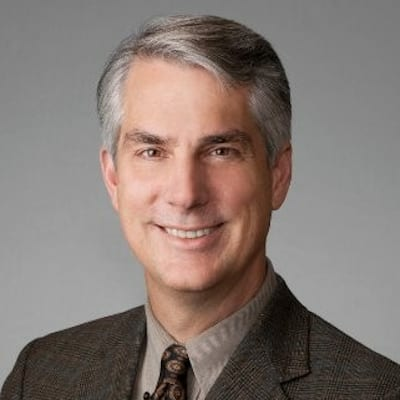 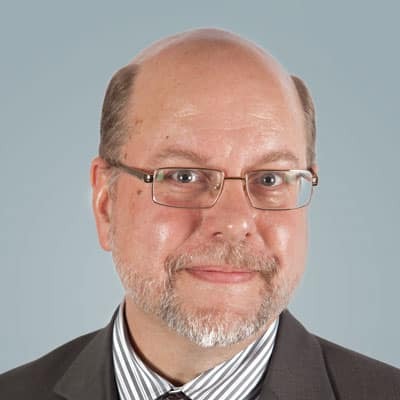 Kevin Hasley heads Rootmetrics® by IHS Markit and is executive director for the company's performance benchmarking strategy for the telecom industry. 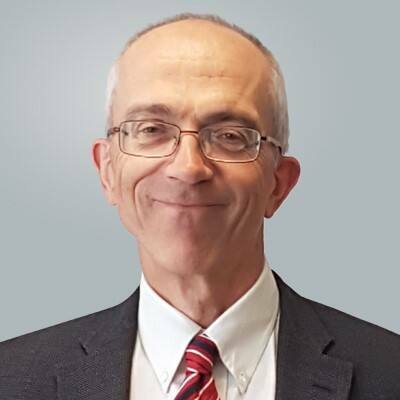 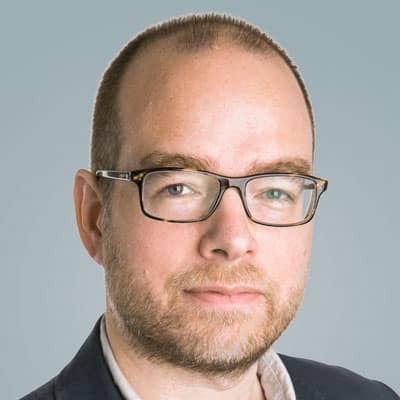 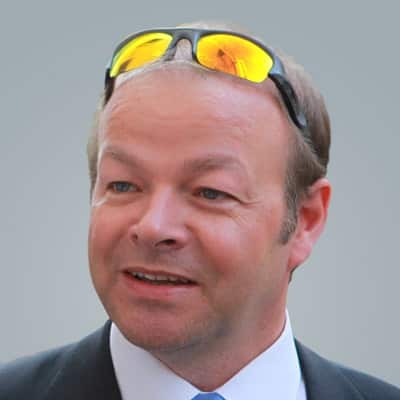 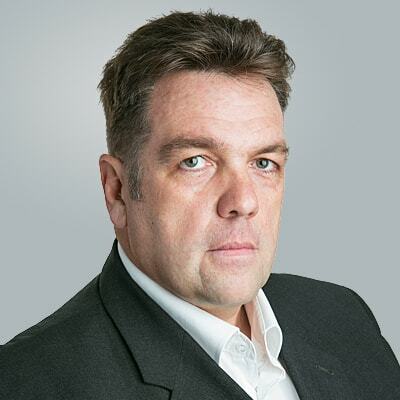 Jon Hawkes manages the Land Team at Jane's by IHS Markit, and is a respected commentator and expert on land warfare platforms and weapon systems. 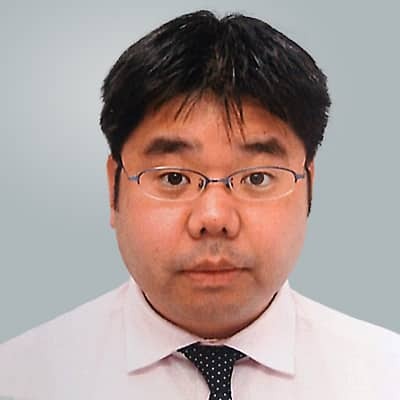 Mr. Hiroshi Hayase is a senior director of analysis and research within the Technology team at IHS Markit. 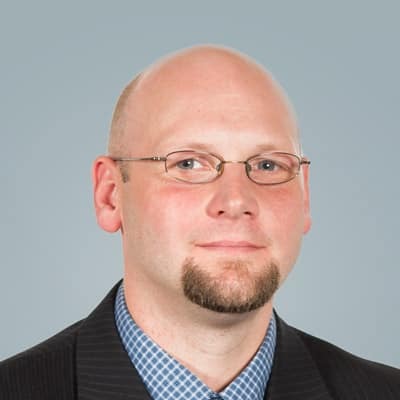 Mr. Russell Heinen serves as a senior director for the IHS Markit Chemical Consulting team. 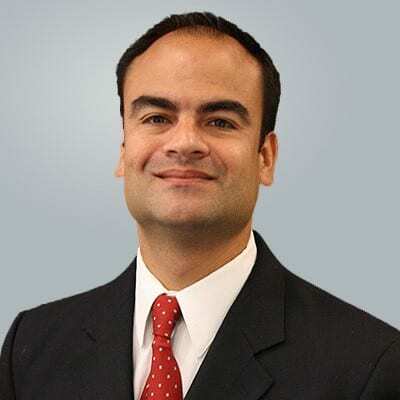 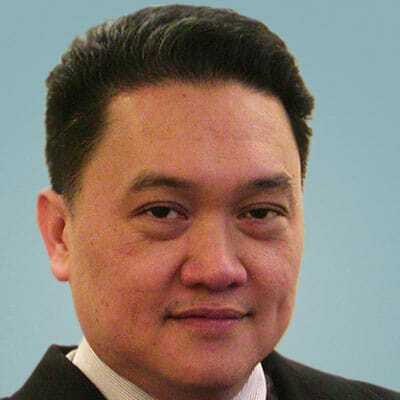 Mr. Sergio A. Hernandez is a senior economist for the World Industry Service (WIS) from IHS Markit. 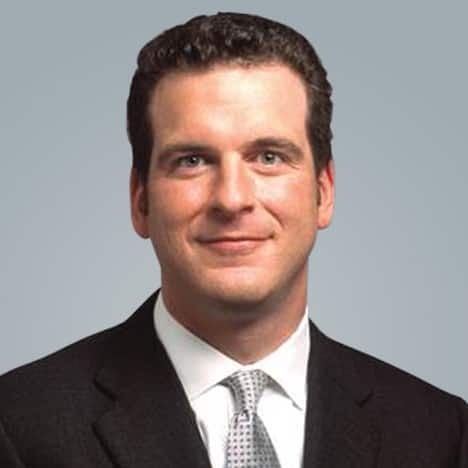 Dr. Ben Herzon is an executive director at Macroeconomic Advisers by IHS Markit, focusing on GDP forecasts. 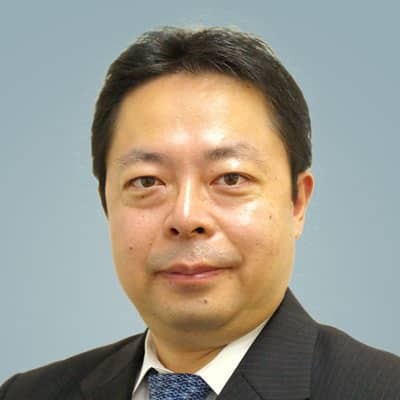 Mr. Hidetoshi Himuro is a director of analysis and research for the large display technology market at IHS Markit. 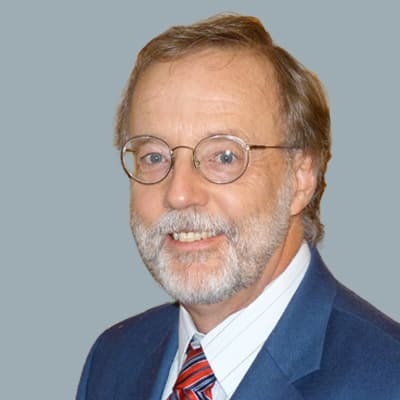 Mr. Bob Hodge serves as Managing Editor, IHS Energy. 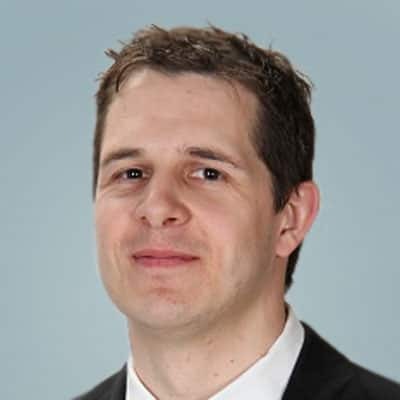 Benjamin Hodges manages OSINT collection and source development for Country Risk at IHS Market. 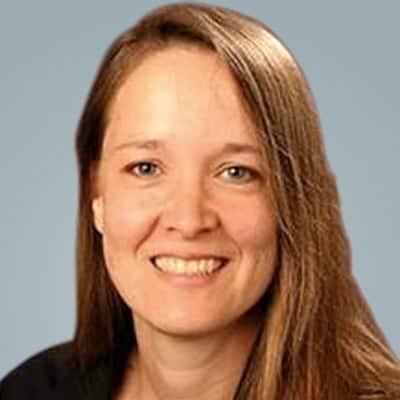 Ms. Laura Hodges serves as a director of the Pricing and Purchasing Service at IHS Markit and focuses on global labor cost analysis. 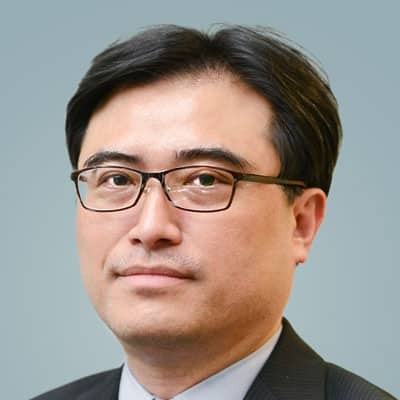 Mr. Jusy Hong leads a TV research team at IHS Markit. 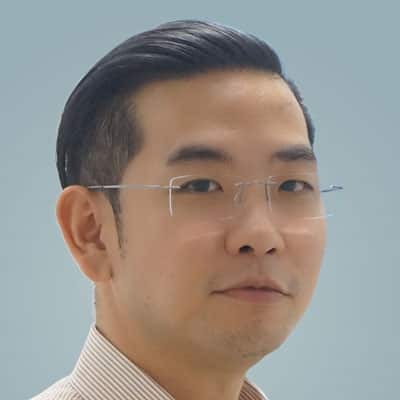 Mr. Calvin Hsieh is director of Touch and User Interface Technology at IHS Markit. 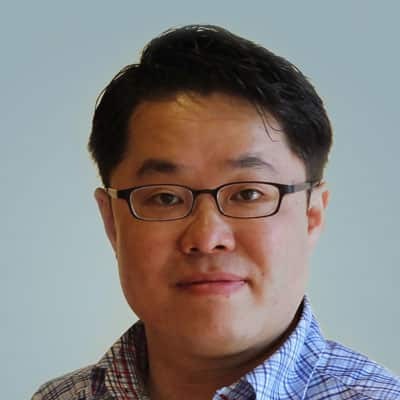 Mr. Brian Huh is a principal analyst for small and medium display technology at IHS Markit. 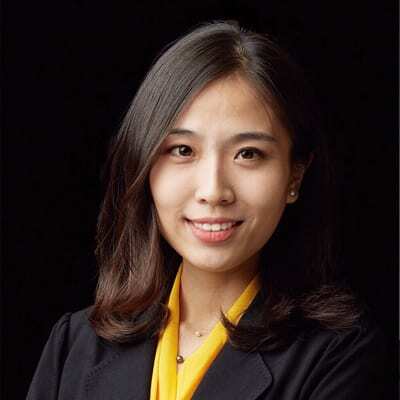 Ms. Holly Hu is a senior technology analyst and researcher at IHS Markit. 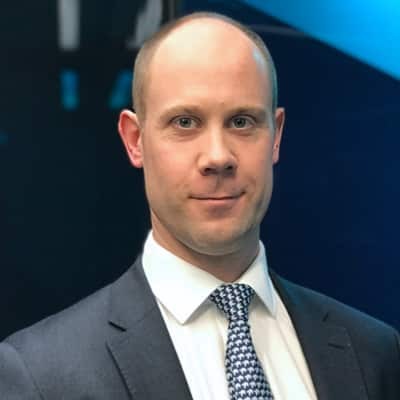 David Hunt, a research director in Economics & Country Risk at IHS Markit, leads advanced analytics and predictive modelling capabilities for global political and security risks. 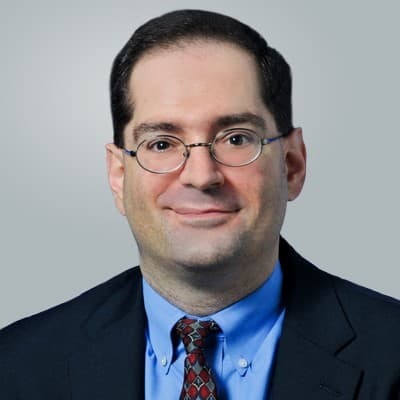 Mr. Dan Huscher leads global strategic development in fixed income pricing services at IHS Markit for CDS, bonds, syndicated loans and structured products. 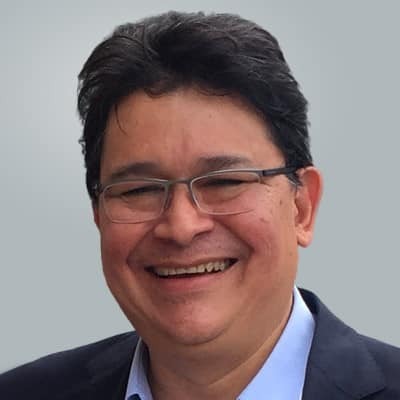 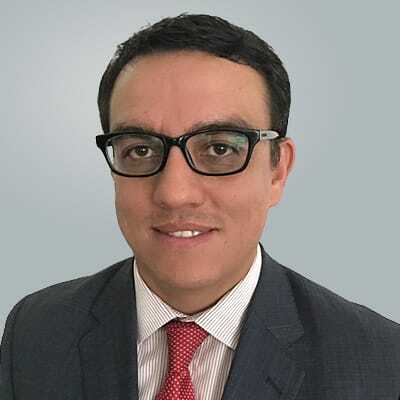 David Iaia, a director for the US Regional Economic Service at IHS Markit, is responsible for ensuring data quality and forecast consistency. 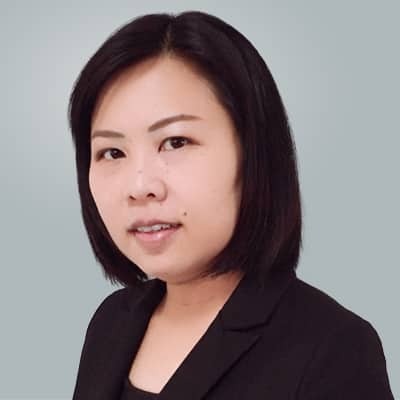 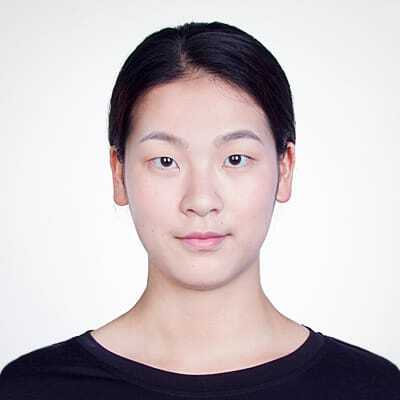 Ivy Sun is a senior analyst on the security technology team at IHS Markit, based in the Shenzhen, China office. 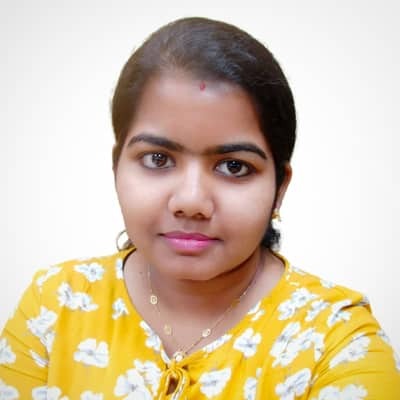 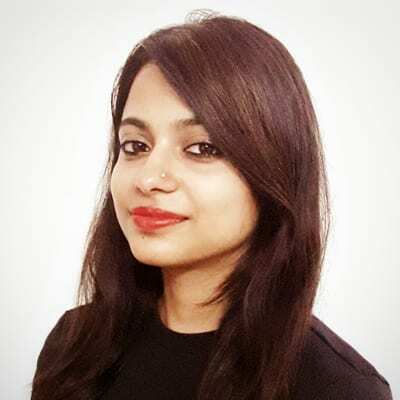 Vaishali Iyer is an analyst on the IHS Markit Country Risk team in Bengaluru, India, focused on OSINT and SOCMINT data collection for India, along with authorization of events for sub-Saharan Africa. 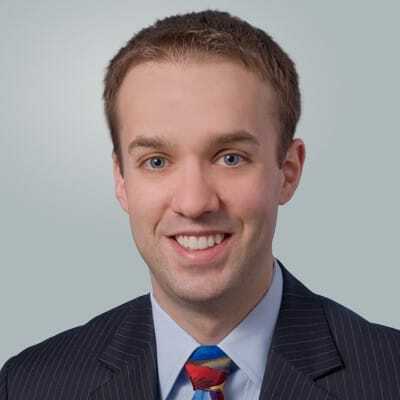 Tom Jackson, a principal economist in the US Regional Economic Service at IHS Markit, is responsible for the economic forecasts for Pennsylvania and several Midwestern states. 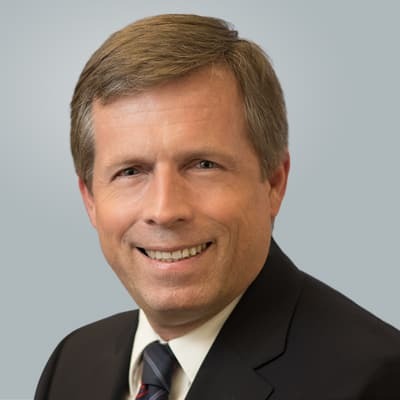 Mr. Judson (Jud) Jacobs is an executive director in the Upstream Energy practice at IHS Markit, focused on technology and innovation. 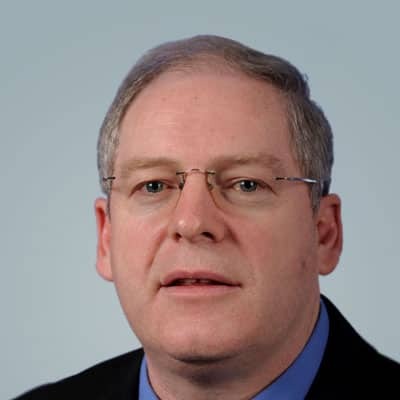 Mr. Mark Jelinek leads the Oil and Gas Supply team at IHS Markit for country-level outlooks. 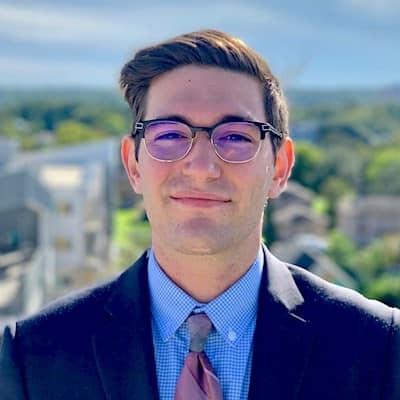 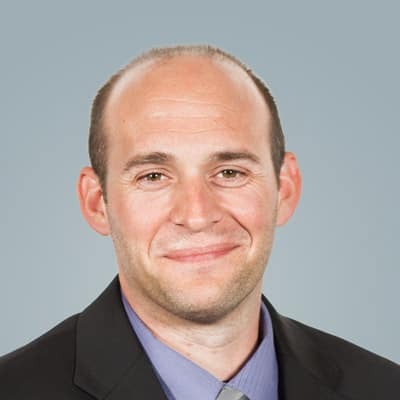 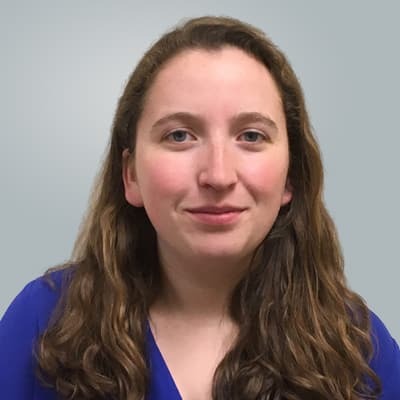 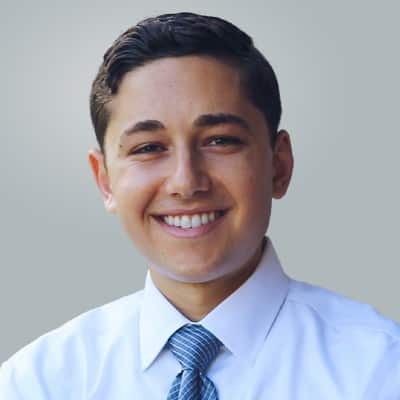 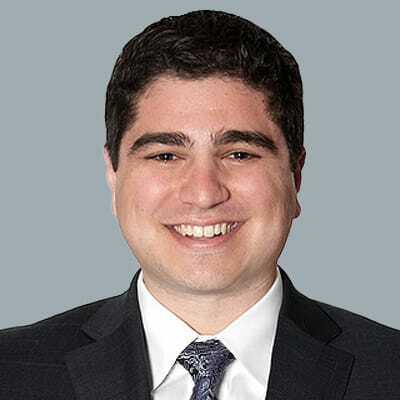 Alex Kaplan is an analyst with the Smart Utilities Infrastructure team at IHS Markit. 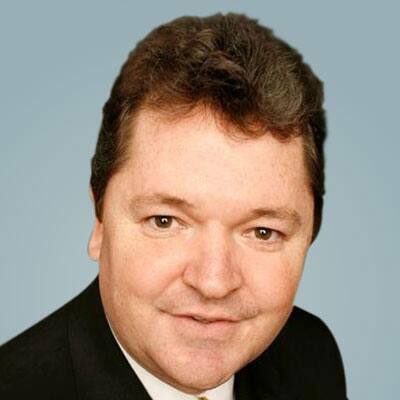 Mr. Tison Keel is Director, PET, PTA & EO Derivatives, within the IHS Markit Chemical group. 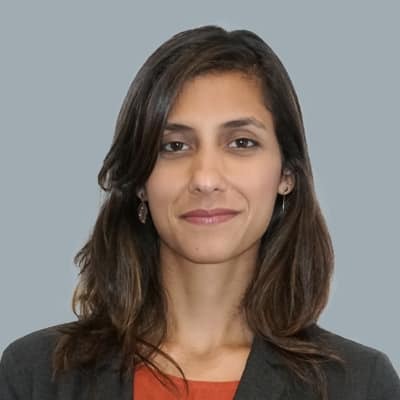 Dr. Keerti Rajan, associate director at IHS Markit, oversees country risk analysis of the Asia-Pacific region, and is lead analyst for India. 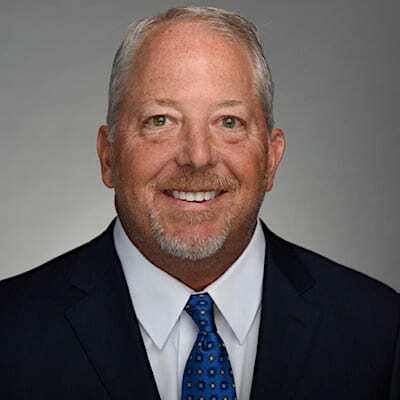 Ed Kelly is a Vice President and leader of the Americas Gas and Power consulting practice at IHS Markit in Houston, Texas. 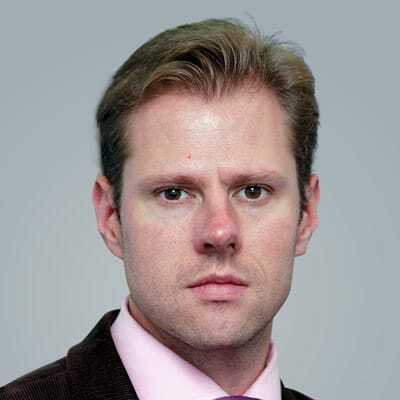 James Kelly is an economist in the US regional group at IHS Markit. 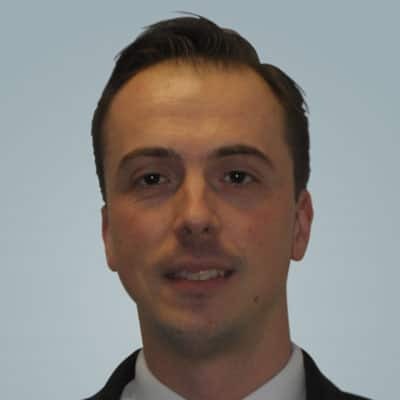 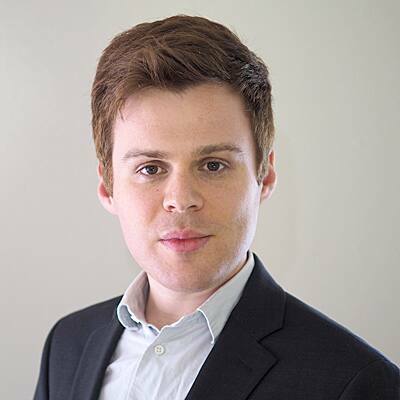 Jack A. Kennedy is a senior analyst covering the Middle East and North Africa desk of the IHS Markit Country Risk and Forecasting team. 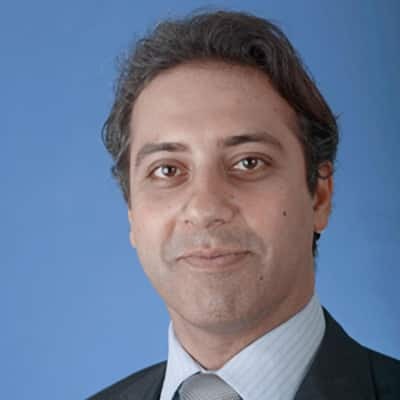 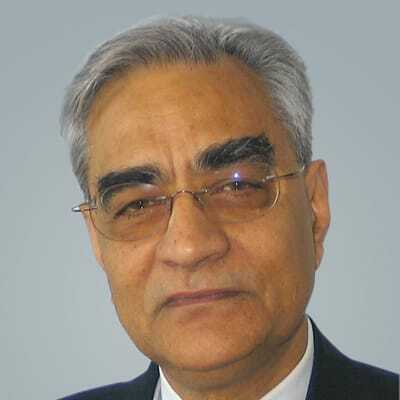 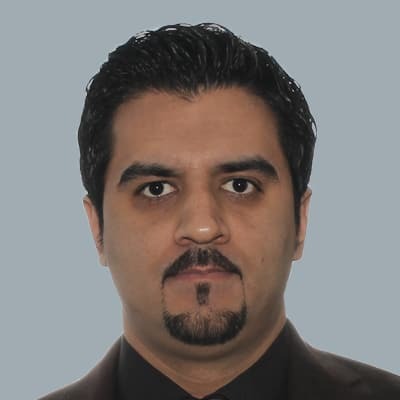 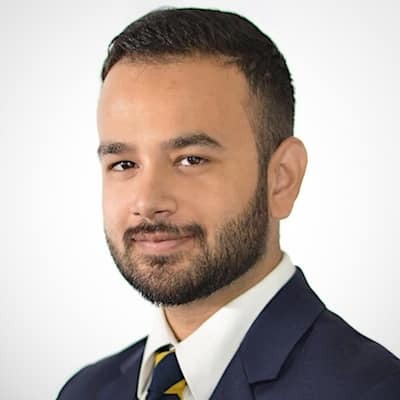 Dr. Tawhid Khan is the consulting director at IHS Markit, who leads automotive electronics and automotive technology consulting projects for the technology practice. 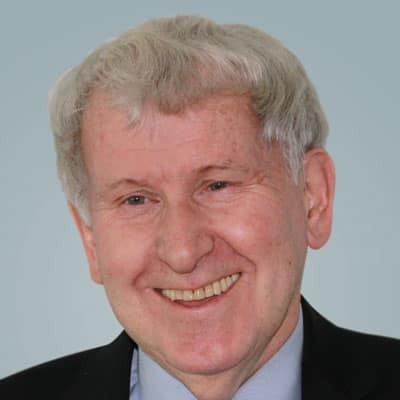 Mr. John W. King is Vice President of the IHS Chemical Consulting group in Asia. 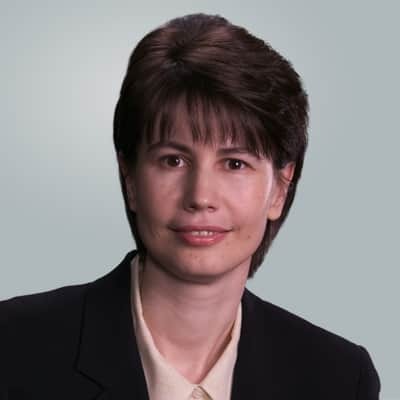 Ms. Arlene Kish is senior principal economist for Canada within the Economics group at IHS Markit. 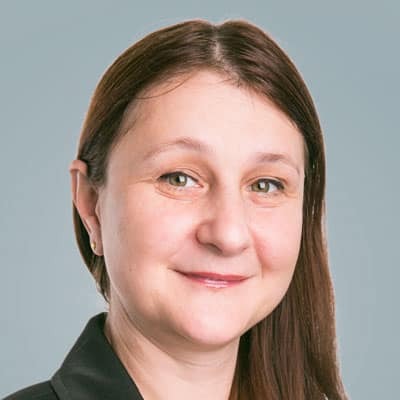 Yelena Kiyanitsa is a Senior Associate for Vantage at IHS Markit. 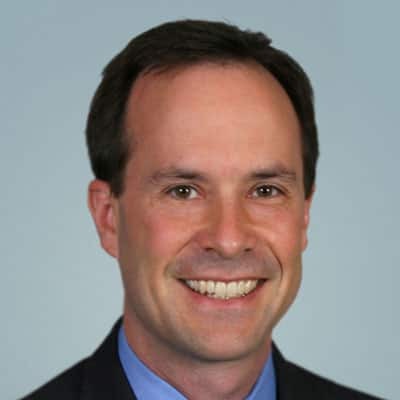 Alex Klaessig, a director at IHS Markit, is an expert on environmental regulation impacting the electric power industry in North America. 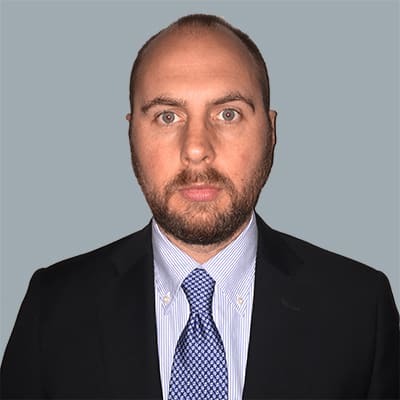 Mr. Brandon Kliethermes is a senior economist within the Agriculture Pricing and Purchasing Service at IHS Markit. 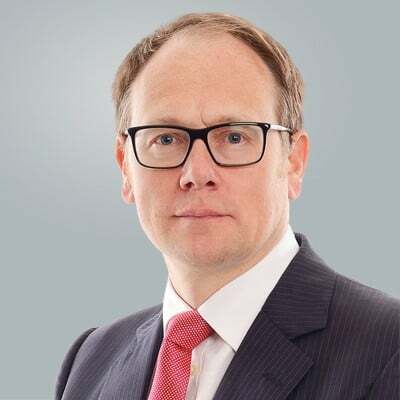 Mr. Eddie Kok is the executive director of Inorganics, including Chlor-alkali & Vinyls Studies at IHS Markit, focusing on Asia. 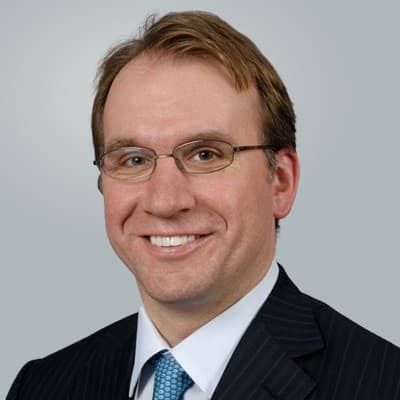 Michael Konidaris joined Macroeconomic Advisers by IHS Markit as a principal economist in 2016. 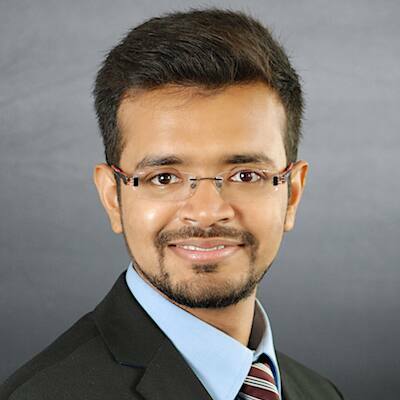 Mr. Nataraj Kuhan serves as a senior consultant for the Chemical Consulting at IHS Markit based in Dubai. 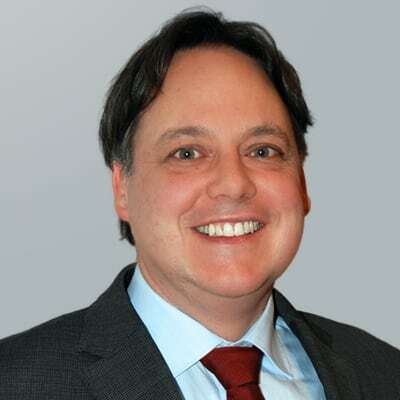 Mr. Raoul LeBlanc, executive director for Energy at IHS Markit, is part of a team responsible for evaluating the dynamic North American onshore arena. 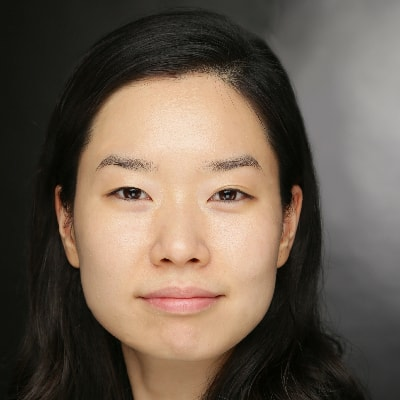 Ms. Hawon Lee is a senior analyst of automotive technology at IHS Markit. 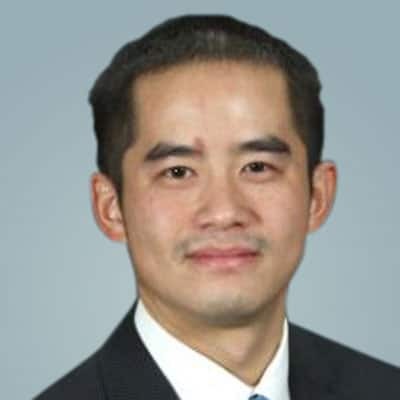 Dr. Todd C. Lee is executive director of global economics at IHS Markit, where he leads an economic forecasting and country risk analysis team. 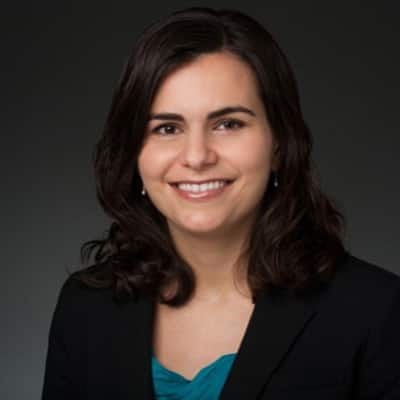 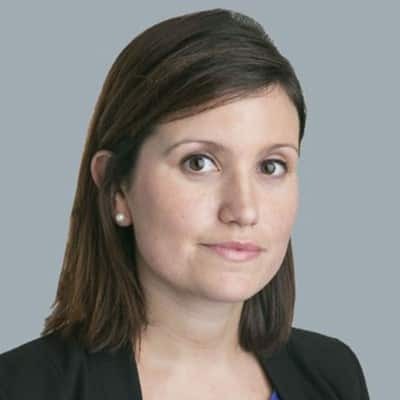 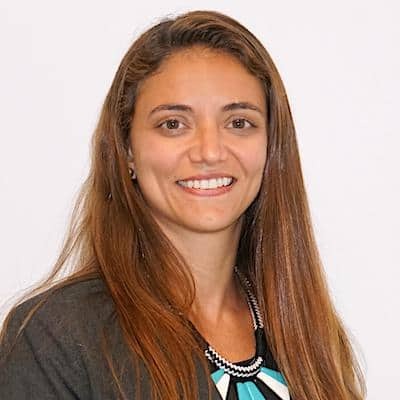 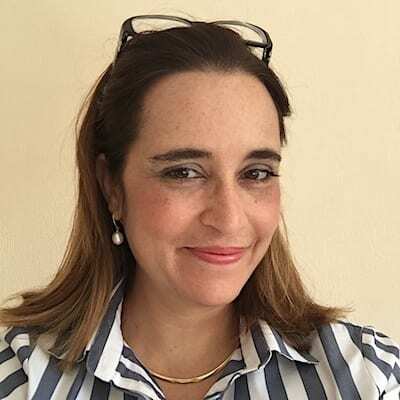 Ms. Alejandra León, an associate director of research and analysis at IHS Markit, specializes in the Latin American oil and gas upstream market and in refined products analysis. 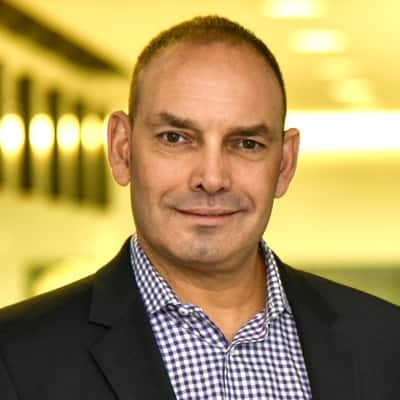 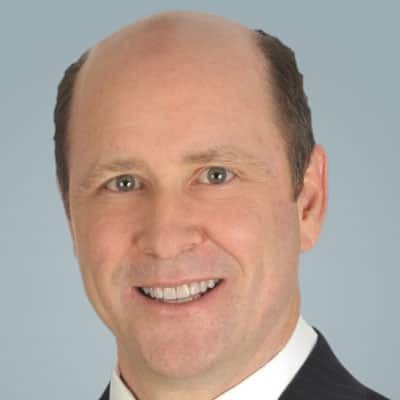 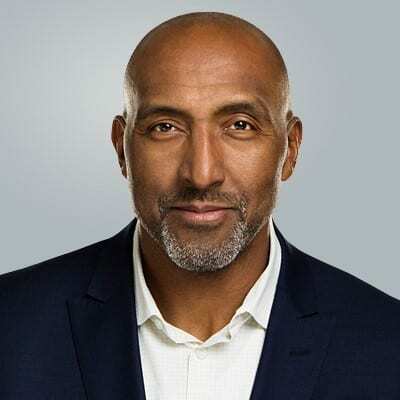 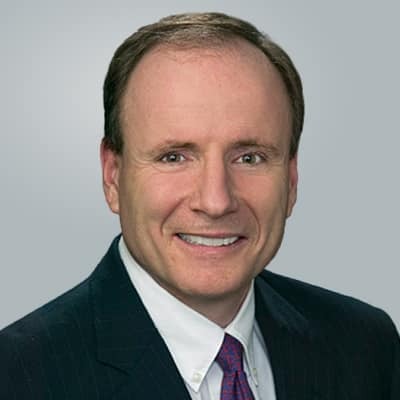 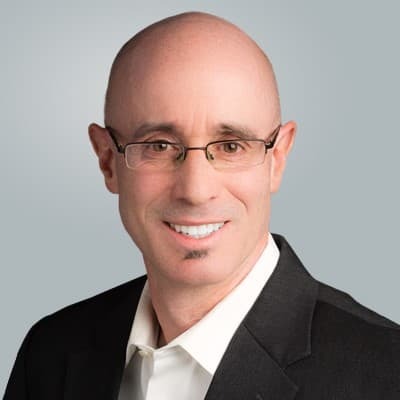 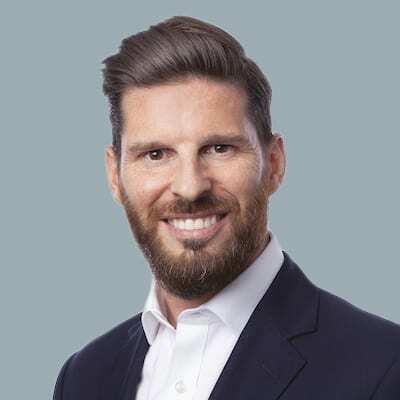 Mr. Brad Levy is, managing director, global head of loans at IHS Markit and CEO of MarkitSERV, the firm's post trade service for OTC derivatives. 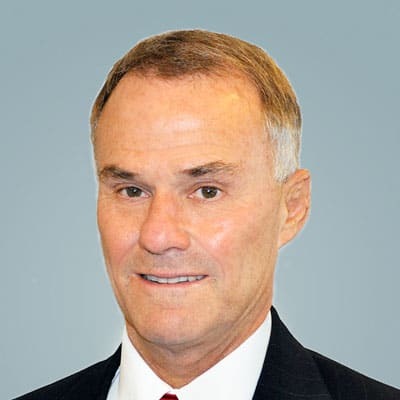 Mr. Dave Lillico is a consulting director in global upstream oil and gas research and analysis at IHS Markit. 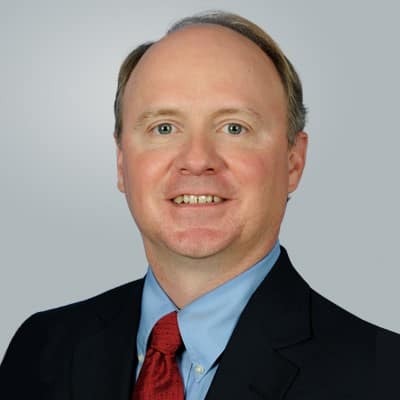 Mr. Karl Lindstrom is associate director of Midstream within the Energy Technical group at IHS Markit. 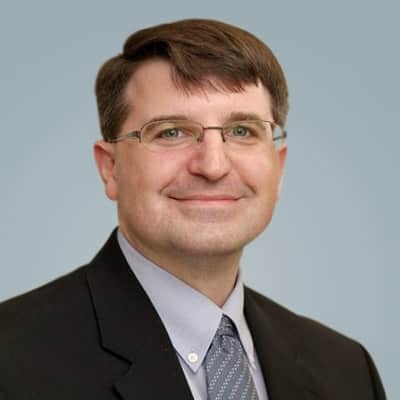 Mr. Jeff Lin is a senior analyst and technology researcher at IHS Markit. 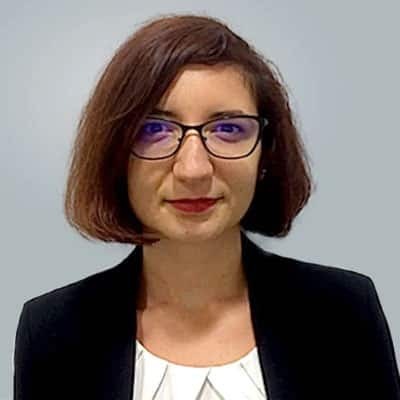 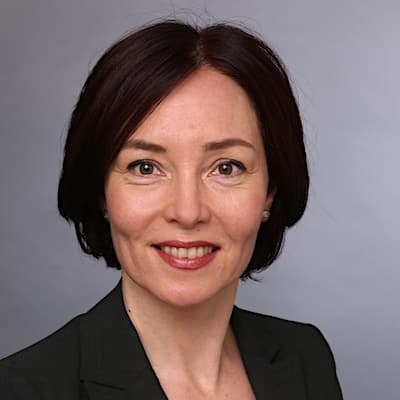 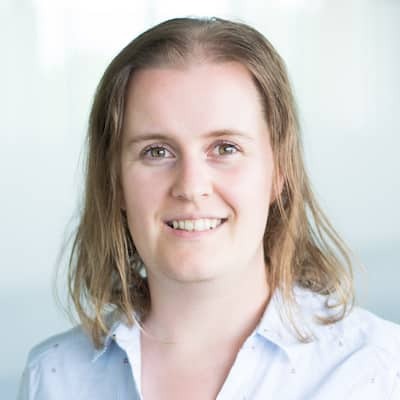 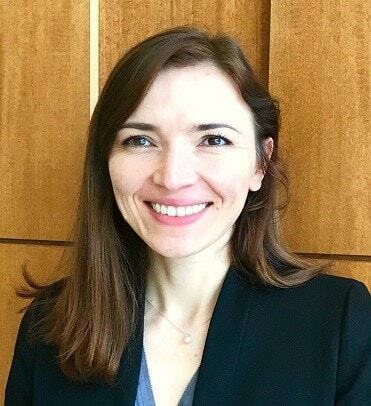 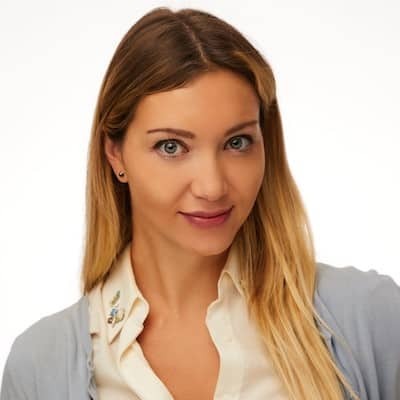 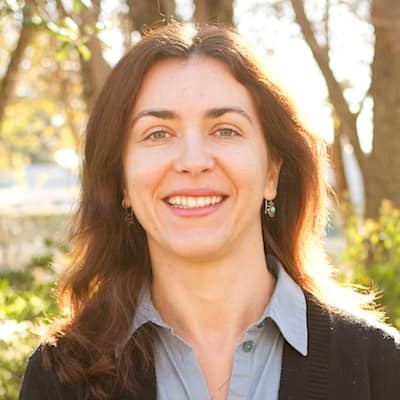 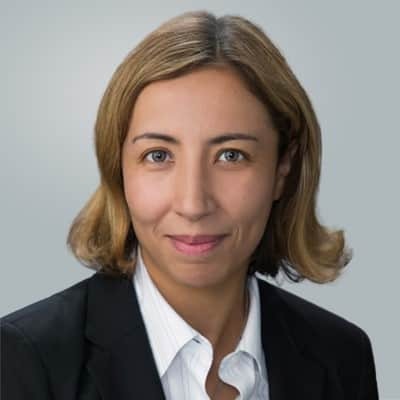 Katerina Lipatova is a director of product management for Research Signals, which provides quantitative factors, models and solutions to IHS Markit's institutional customers worldwide. 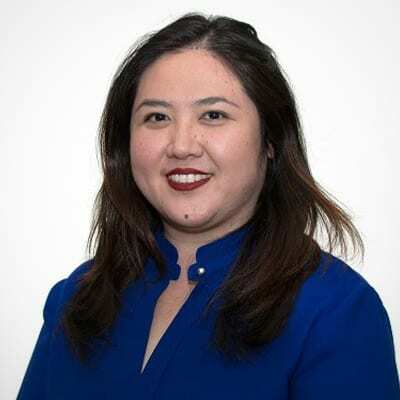 Cindy Liu is principal research analyst for digital signage on the Specialty Displays team at IHS Markit. 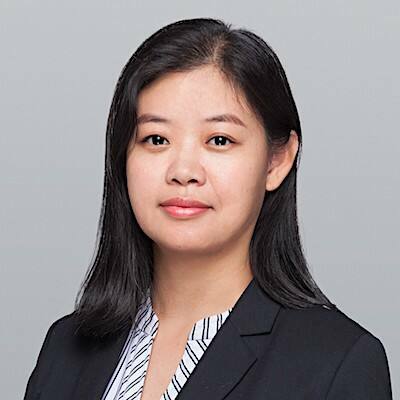 Rita Liu is a senior analyst in Manufacturing Technology at IHS Markit. 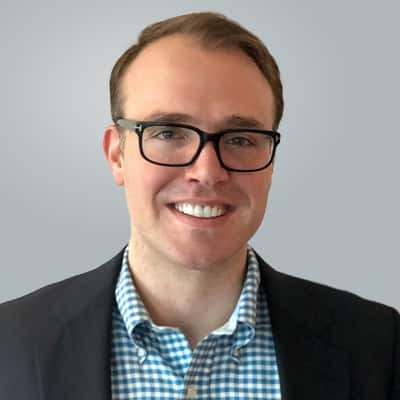 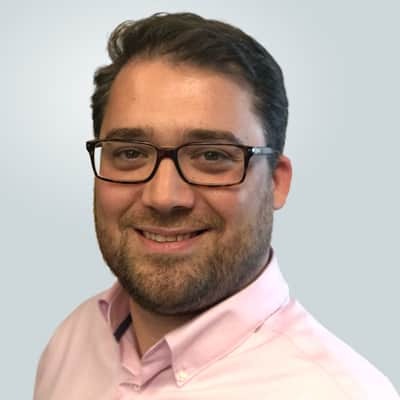 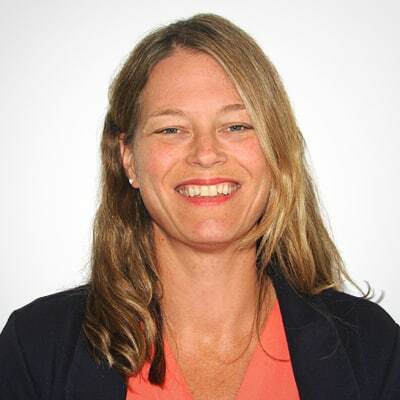 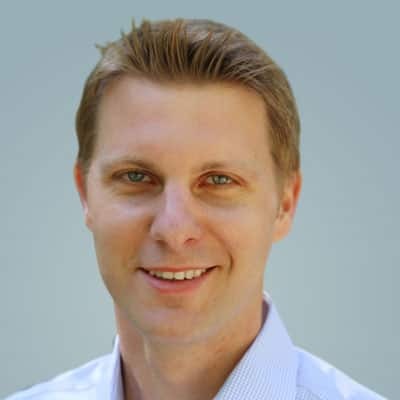 Cameron Lockwood, consulting associate director at IHS Markit, manages a consulting team that leverages Life Sciences products and services to deliver customized client consulting projects. 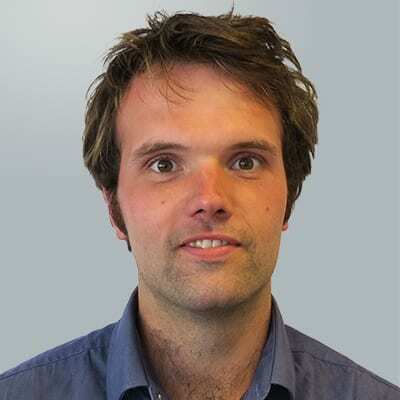 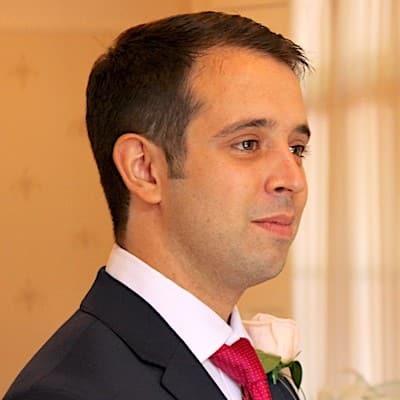 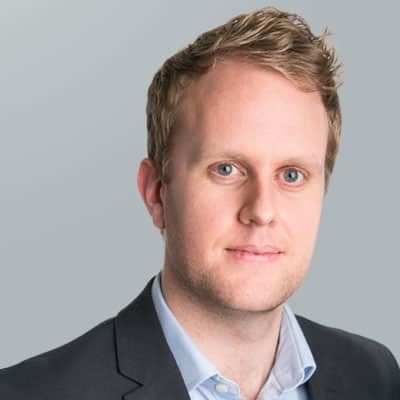 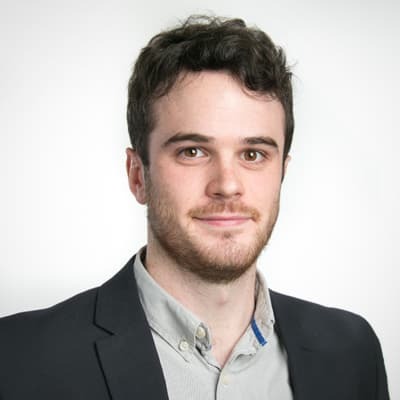 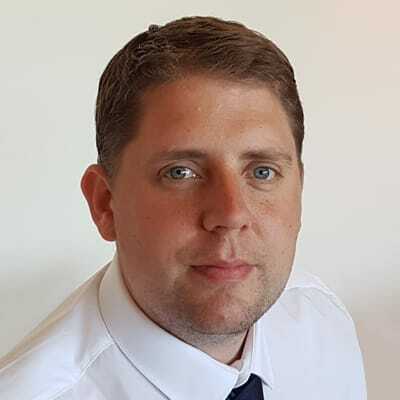 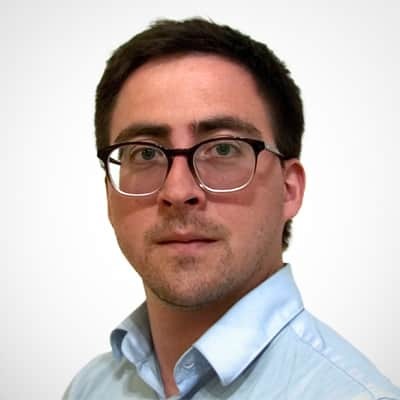 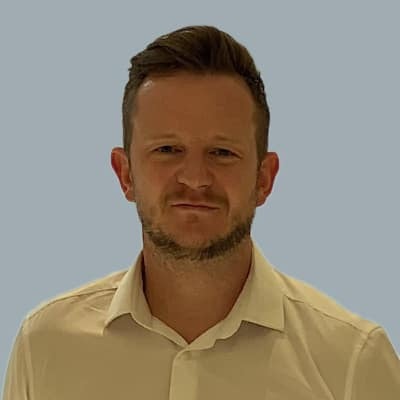 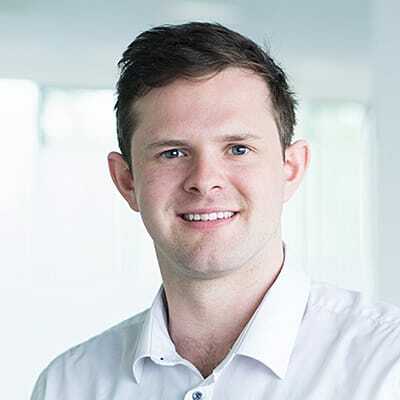 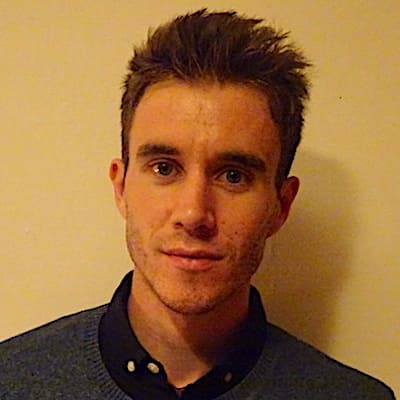 Mike Longson is a research analyst within the Solar and Energy Storage team at the IHS Markit office in Bracknell, UK. 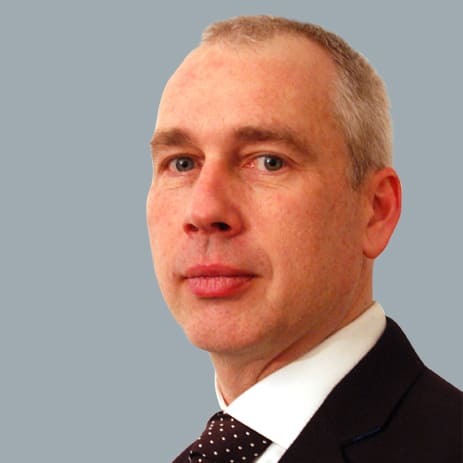 Mr. Nick Lowes leads the Integrated Solutions team within IHS Markit's energy business line. 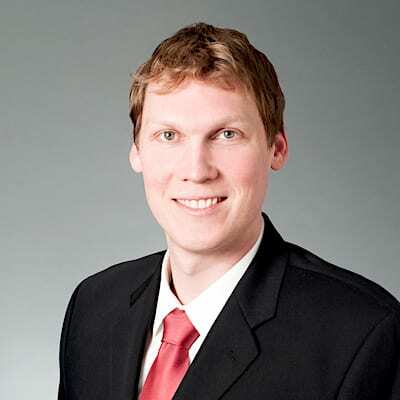 Patrick Luckow, an associate director of IHS Markit focuses on regional and national carbon policy and associated markets, including the Regional Greenhouse Gas Initiative and the linked, economywide greenhouse gas markets in California, Quebec and Ontario. 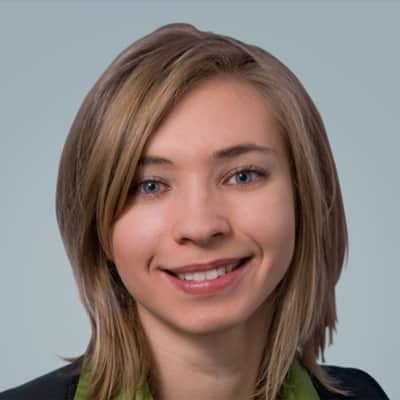 Ms. Dasha Lukiniha is an economist on the consulting team at IHS Markit, focusing on labor and construction materials analysis. 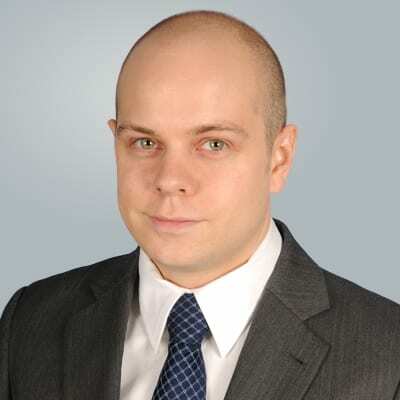 Mike Lynch is a principal economist in the US Regional Economic Service at IHS Markit. 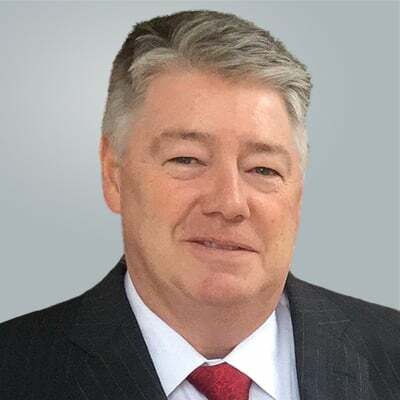 Thomas Lynch is the executive director for Security Technology, Safe Cities and Critical Communications Technology at IHS Markit. 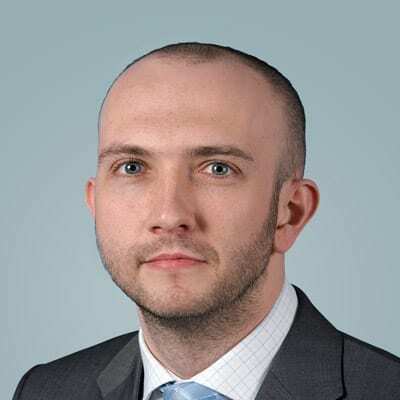 Mr. Matthias Machowinski is a research director of Enterprise Networks and Video Technology at IHS Markit. 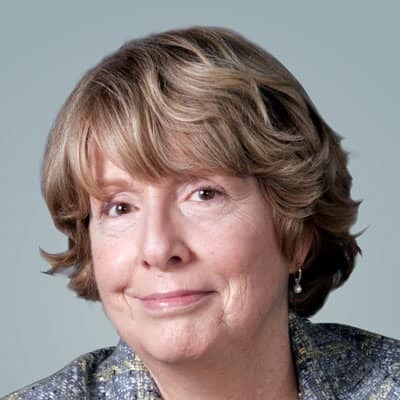 Ms. Maureen Maguire, executive director at Macroeconomic Advisers by IHS Markit, focuses on macro scenarios. 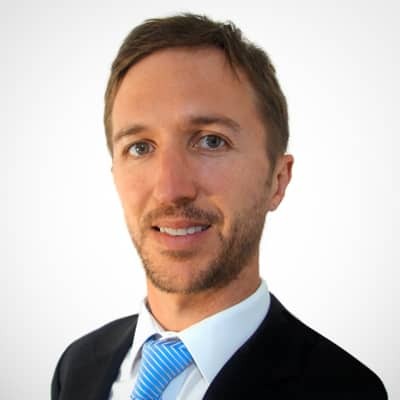 Mr. Dylan Mair is Head of IHS Energy Technical Operations, Asia Pacific. 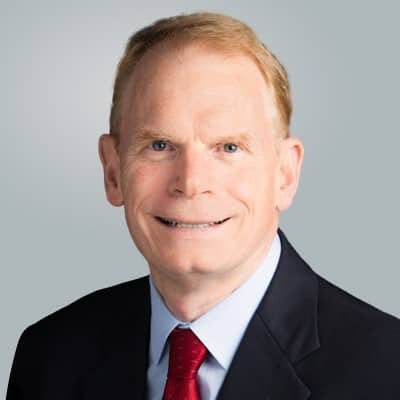 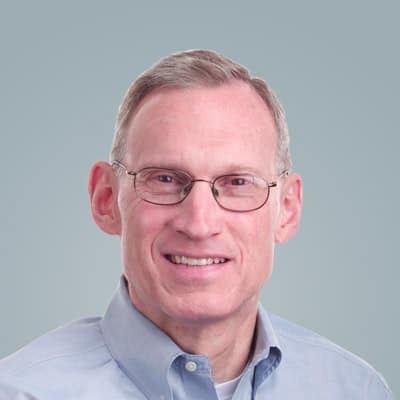 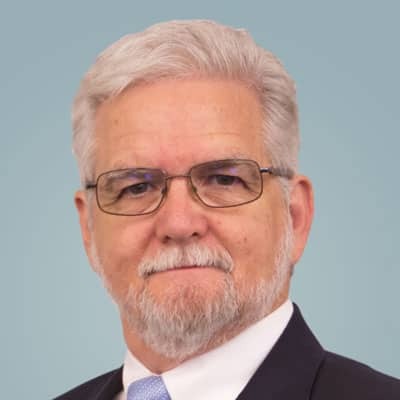 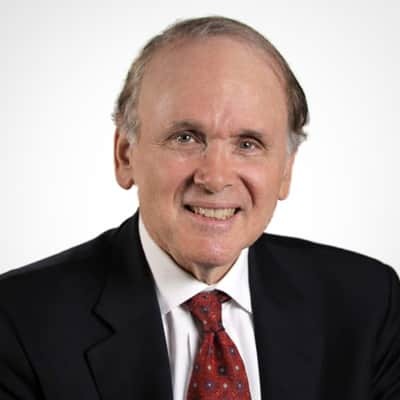 Dr. Larry Makovich, vice president and senior energy advisor at IHS Markit, is an expert on the electric power industry and directs IHS Markit research as part of the Office of the Chairman. 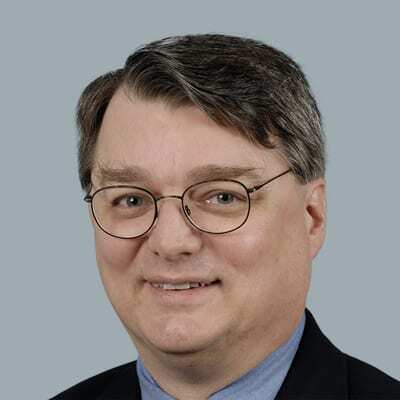 Mr. Bob Maltsbarger is a senior economist in the Agriculture Pricing and Purchasing Service at IHS Markit. 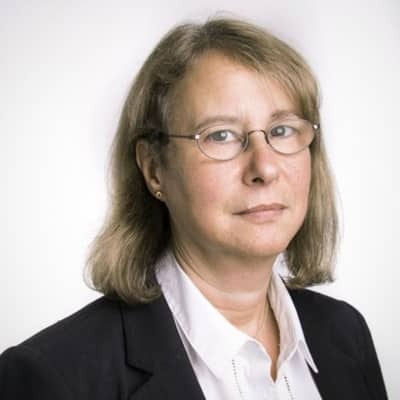 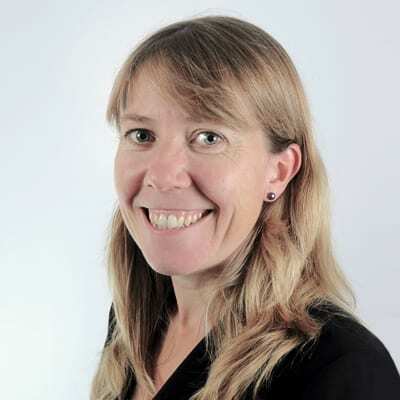 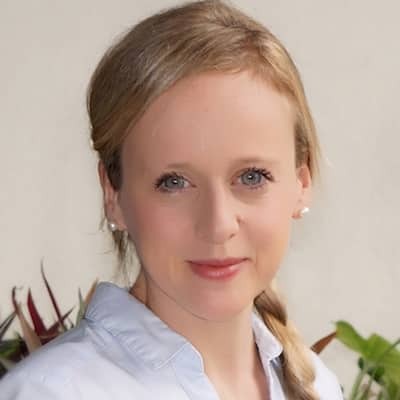 Deborah Mann, a director at IHS Markit, is an expert in low-carbon energy strategy in Europe. 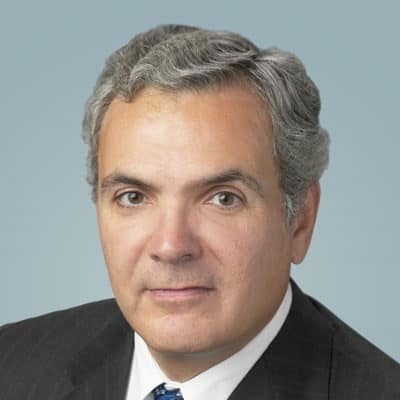 Tom Marecki specializes in valuation of agency MBS products for IHS Markit's Fixed Income Pricing Services team. 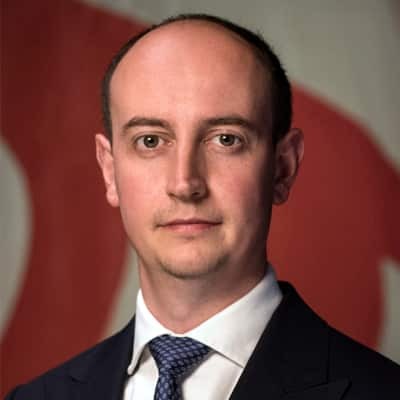 Mr. Edward Marhefka is a managing director and global co-head of Equities, Data and Analytics products at IHS Markit, including Delta One. 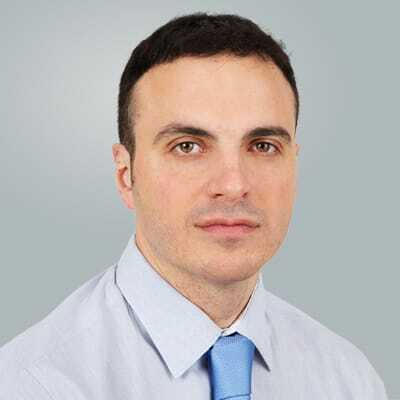 Mr. Michael Marinovic is a vice president of Energy at IHS Markit. 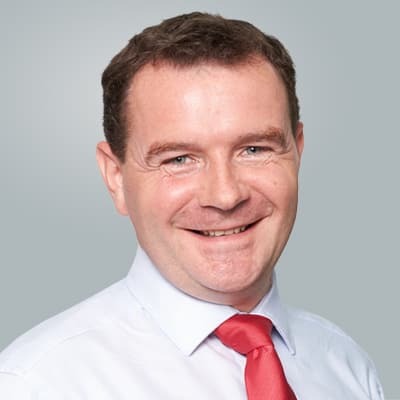 Mr. Thomas Matheson, heads Dividend Research at IHS Markit, overseeing a global team of equity analysts that frequently issue dividend forecasting reports. 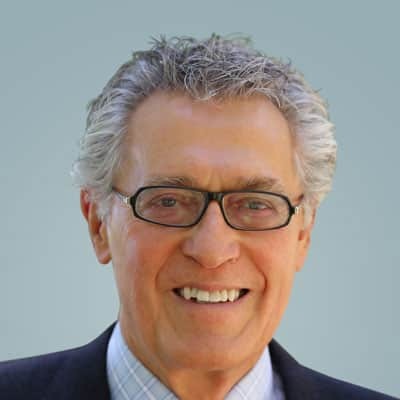 Louis Mattar, M.Sc., P.Eng. 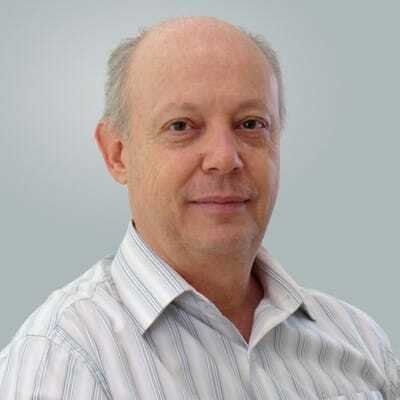 is principal reservoir advisor at IHS Markit, consults for reservoir engineering customers. 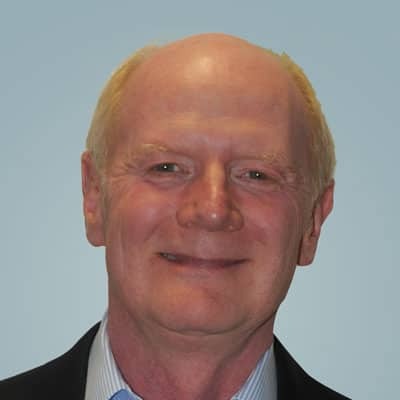 Mr. Pat McSpadden is an executive director for Chemical Consulting at IHS Markit. 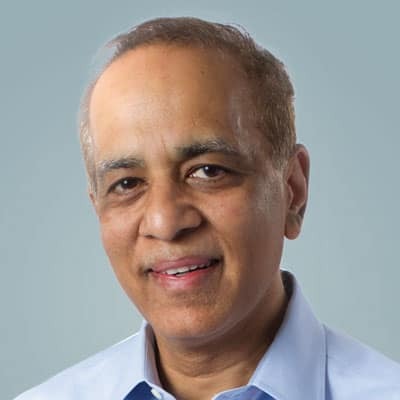 Mr. Praful Mehta heads life sciences strategy and innovation programs at IHS Markit, helping customers who need new data, analytics and consulting solutions that improve commercial organization effectiveness. 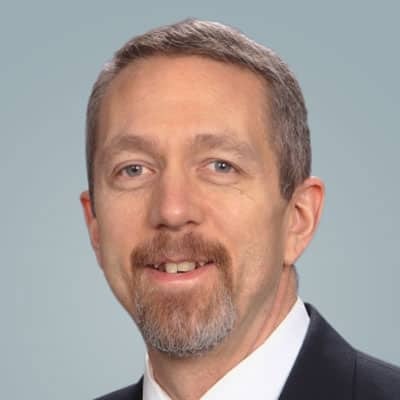 Jeff Meyer is a director at IHS Markit with the Mobility and Energy team. 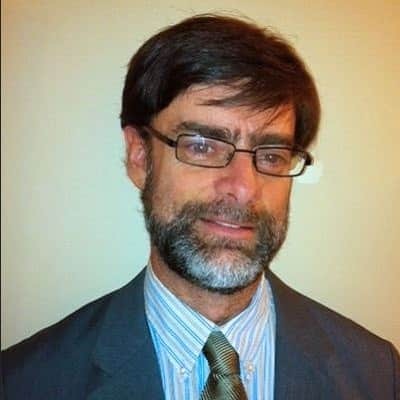 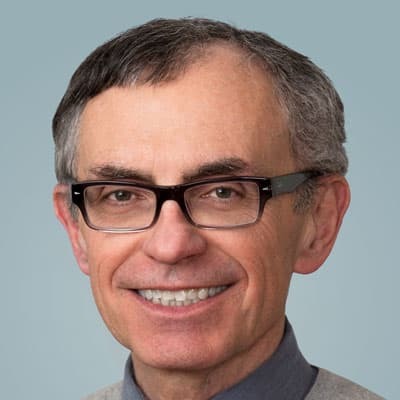 Mr. Michael Kratochwill is the anaging director of Transaction Advisory Services for the chemicals industry at IHS Markit..
Dr. Tavallali leads the reservoir modeling and simulation team at IHS Markit. 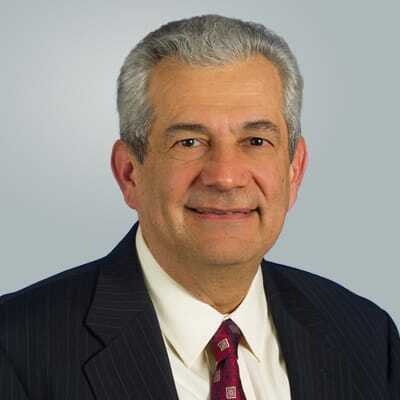 Mr. Bill Mongelluzzo is a senior editor of The Journal of Commerce (JOC) from IHS Markit. 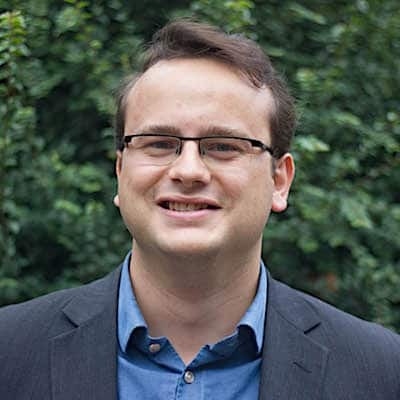 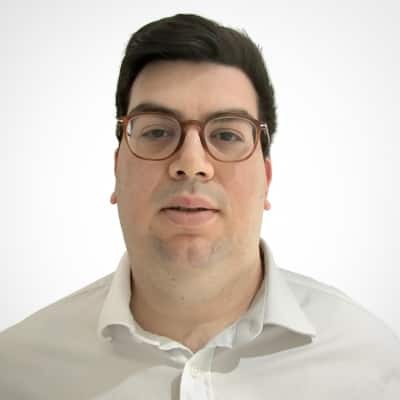 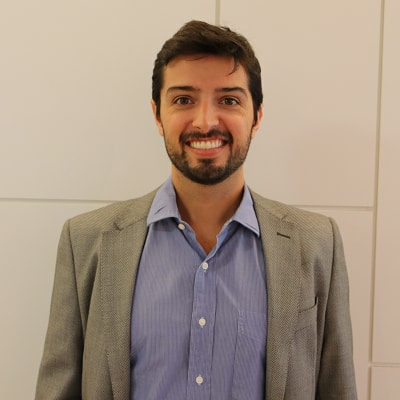 Martín Morales Lillo is a research analyst at IHS Markit in London, focusing on telecom operator strategies in Europe and Latin America. 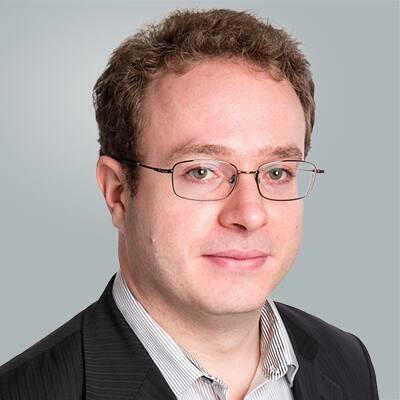 Benjamin Morel, a consulting principal at IHS Markit, is a member of the Regulatory Compliance team in Upstream Insight. 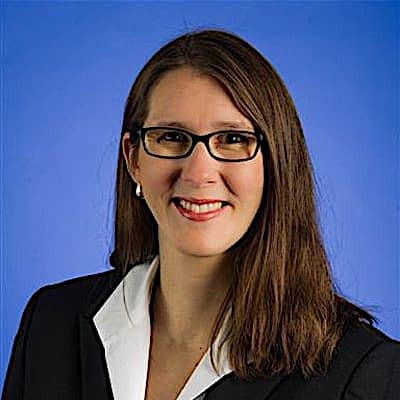 Dr. Morgan leads business development activities in chemical consulting focused on specialty chemicals, renewables and advanced materials. 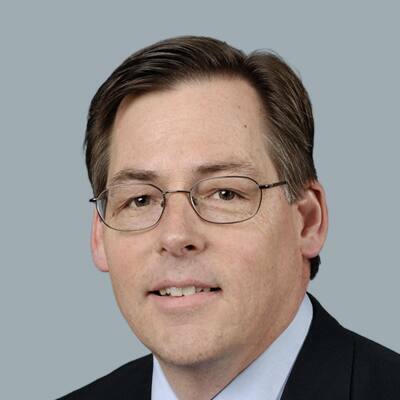 Mr. John J. Mulholland serves as vice president of Chemical Strategy Consulting, for the IHS Markit.